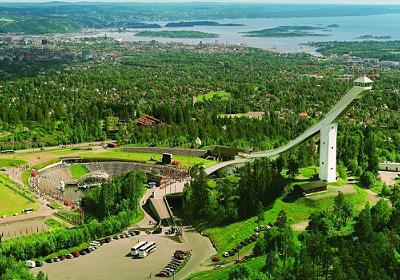 In the home country of skiing the first ski jumping competitions took place from 1879 to 1891 on Husebybakken in the western part of Oslo. 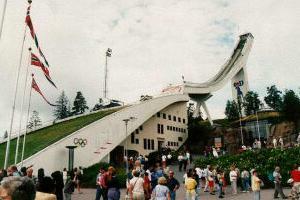 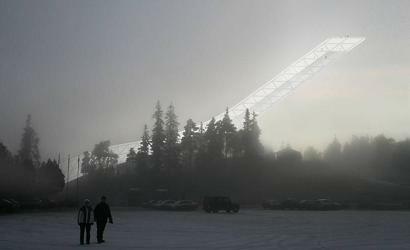 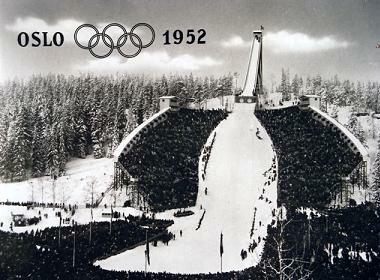 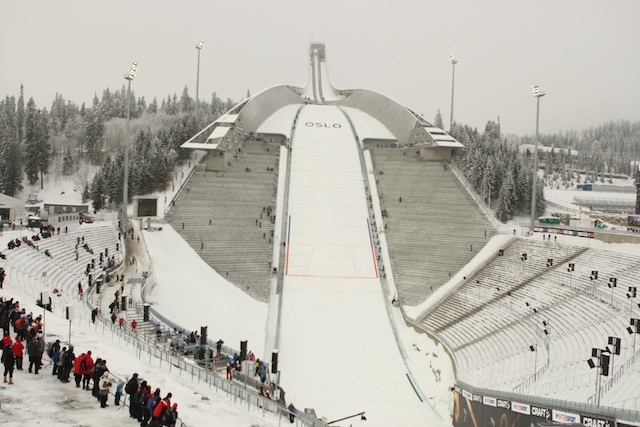 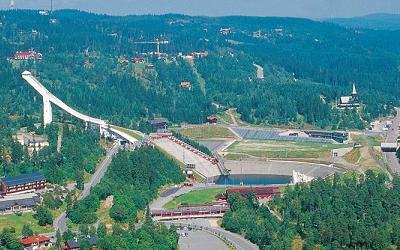 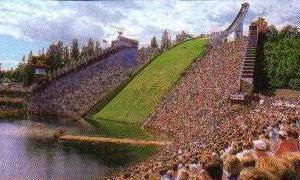 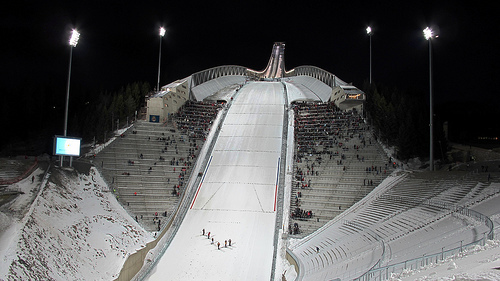 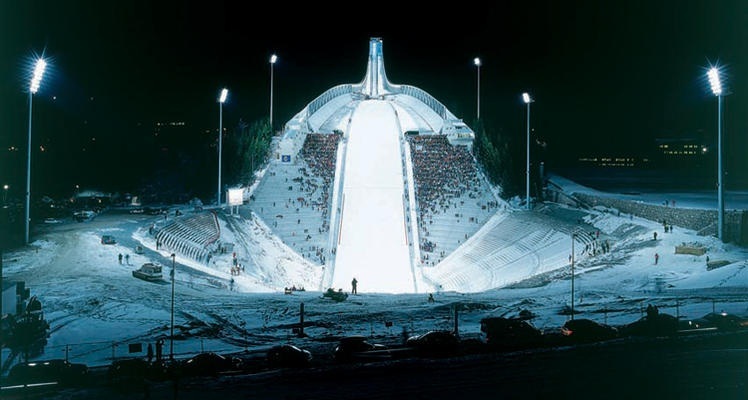 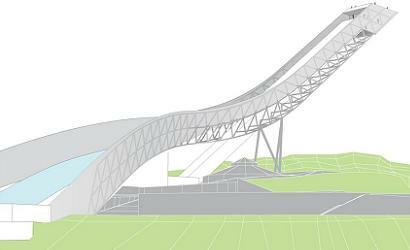 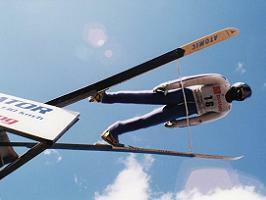 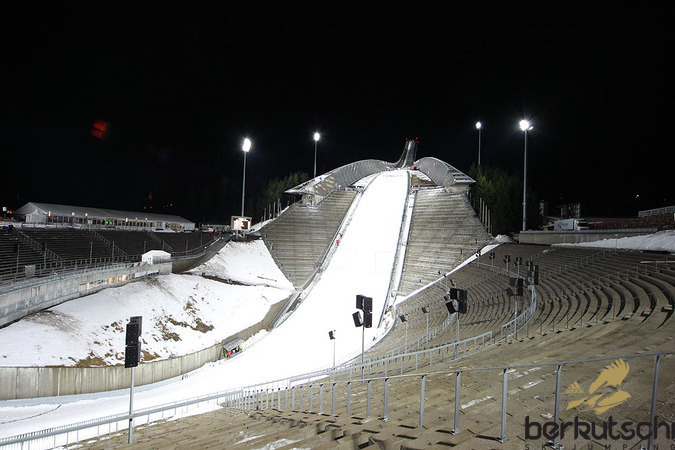 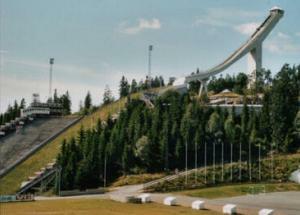 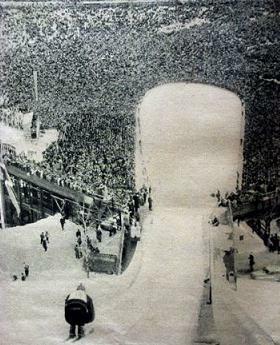 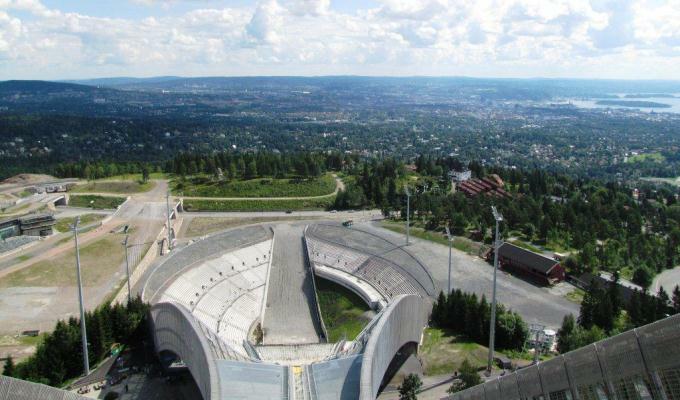 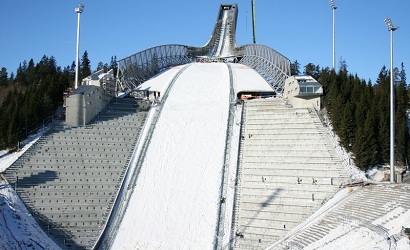 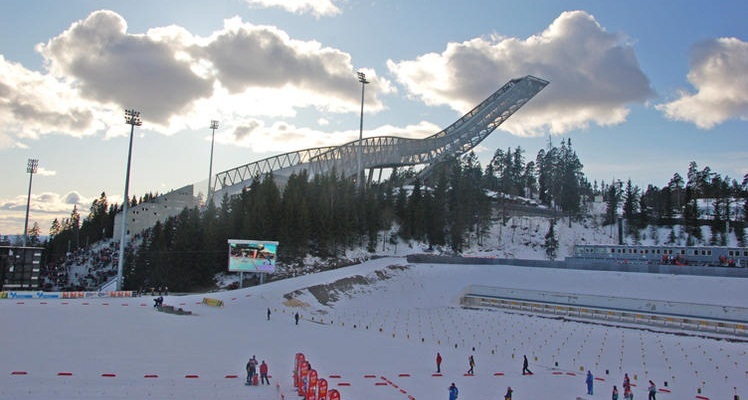 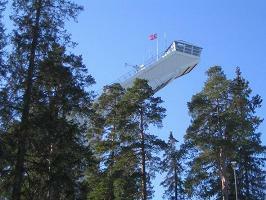 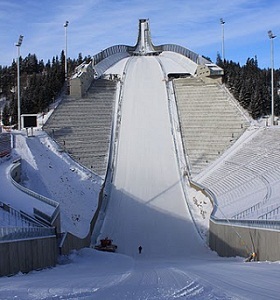 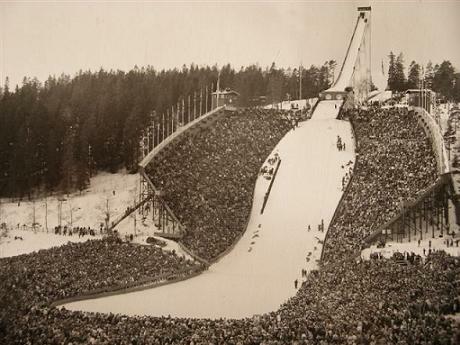 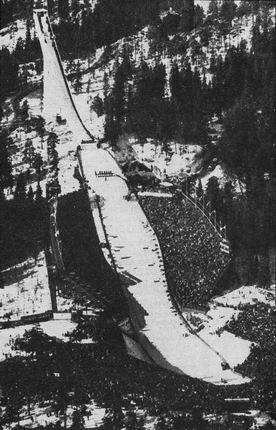 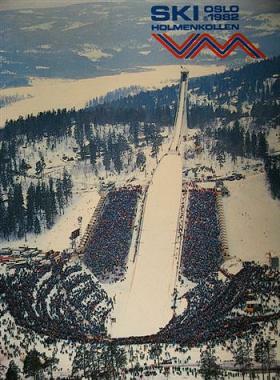 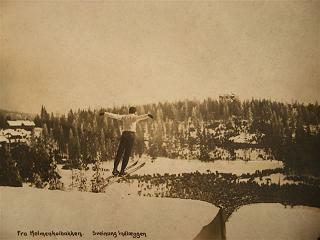 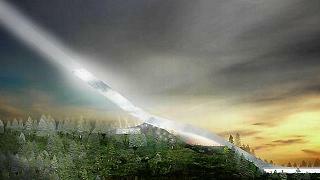 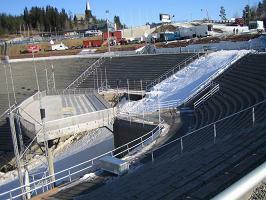 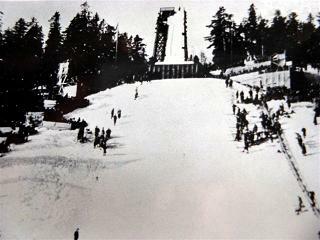 On January 31, 1892 around 5 km north of it a new ski jumping hill at Holmenkollen was inaugurated. 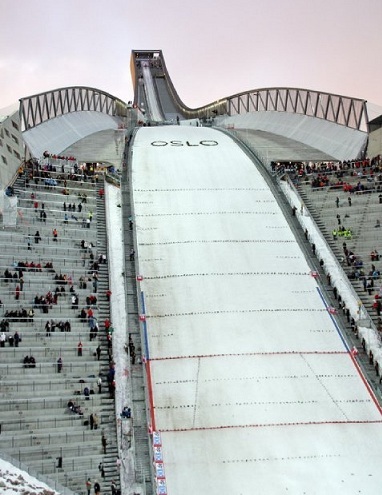 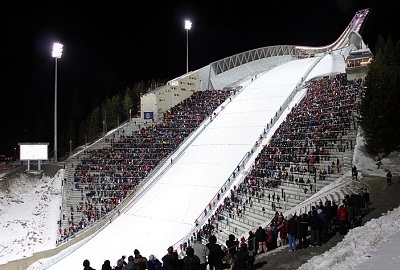 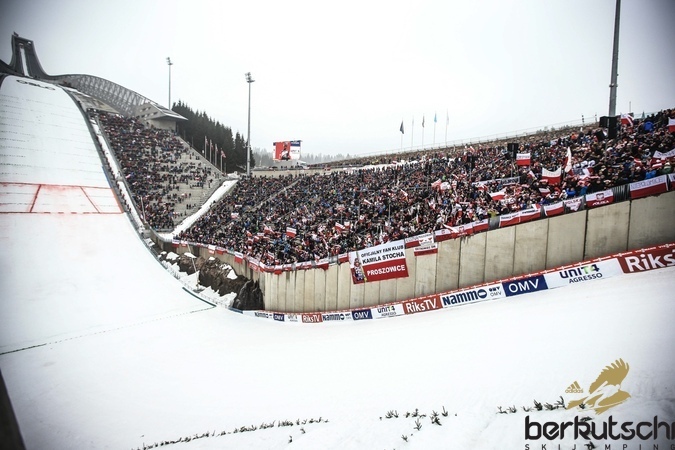 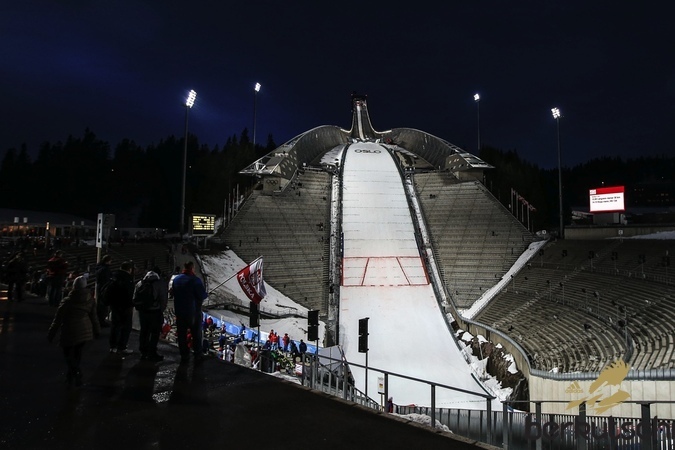 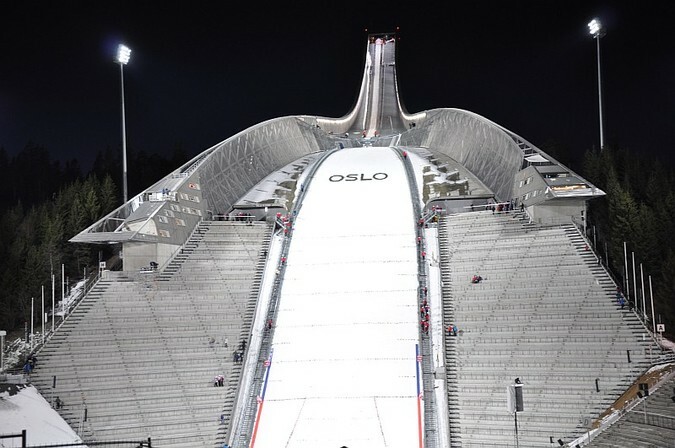 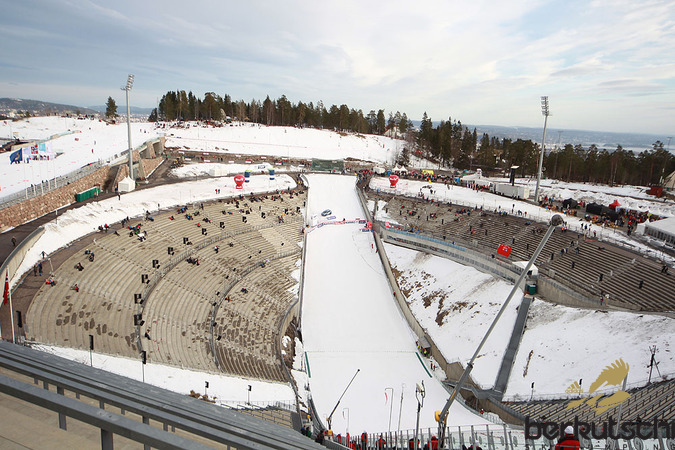 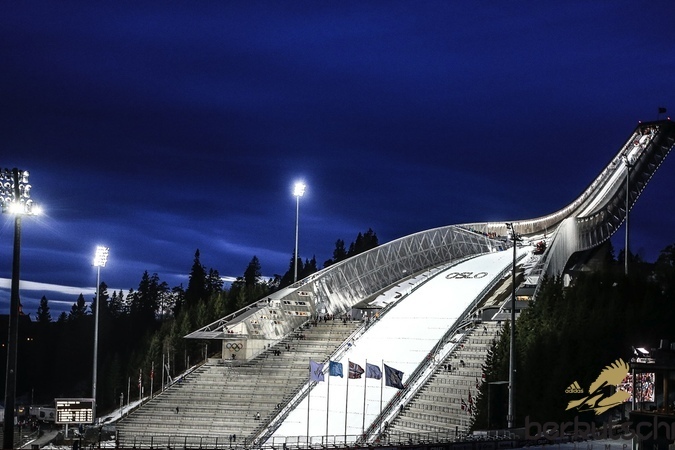 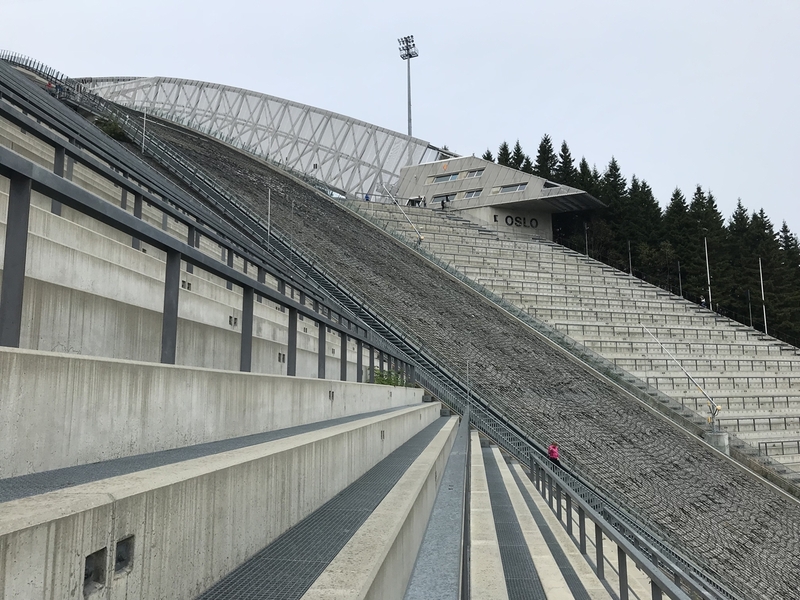 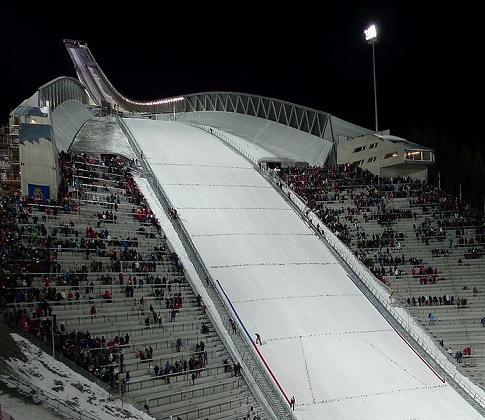 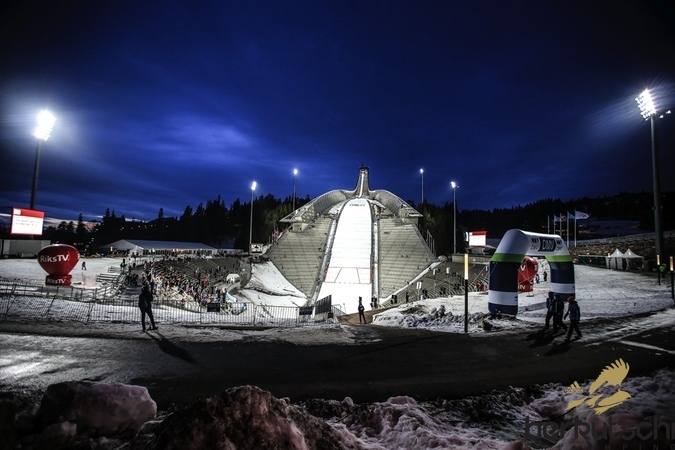 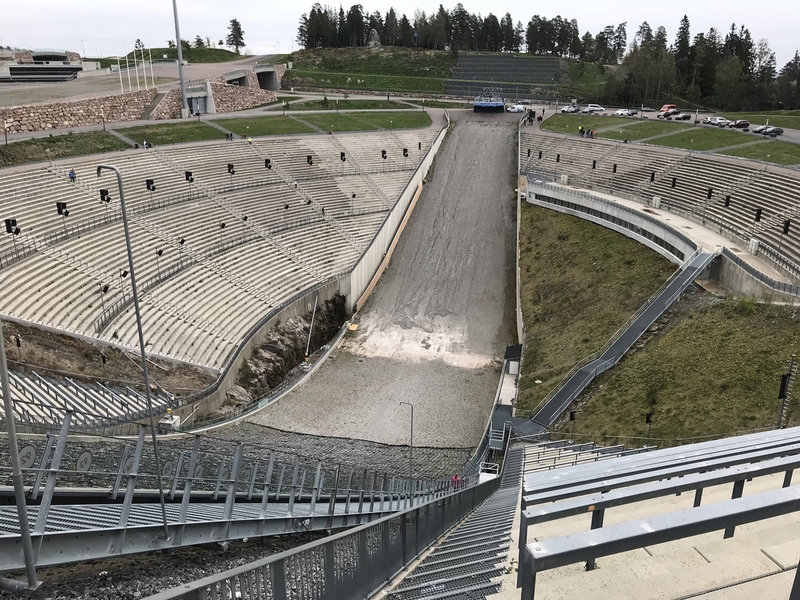 Attended by an outrageous number of 20,000 spectators the first winner jumped on 22.5 m. Since this year the traditional Holmenkollen competitions, which later became skiing festivals and now are the regular World Cup competitions in March, have been existing. 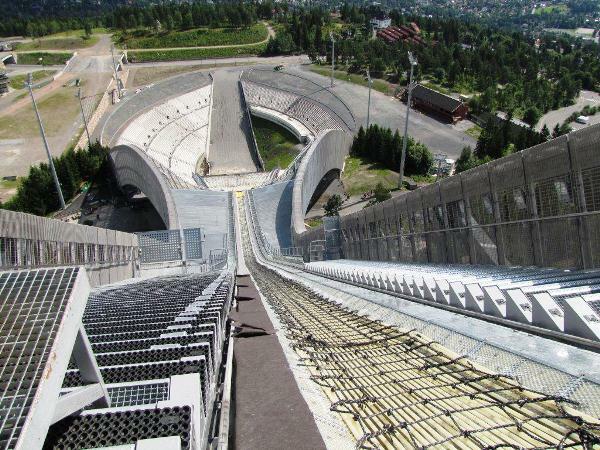 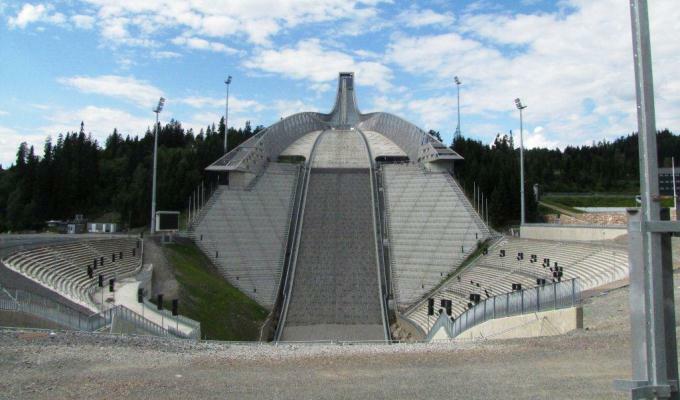 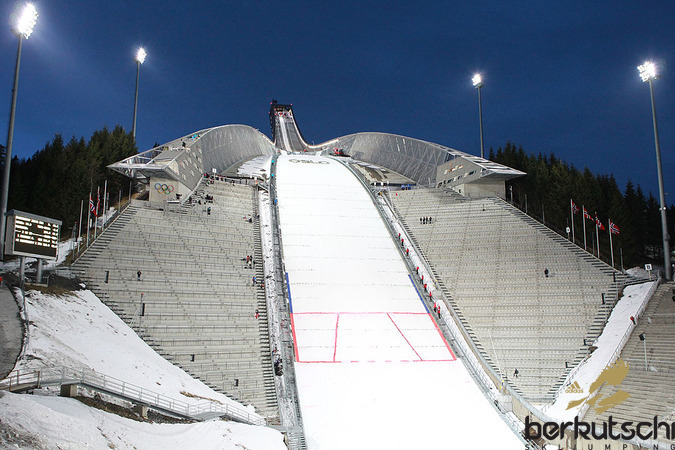 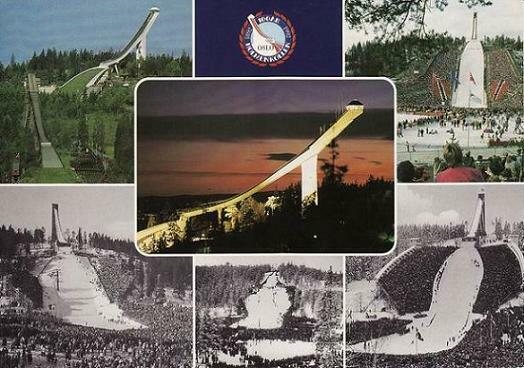 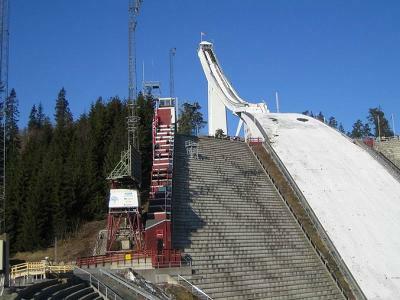 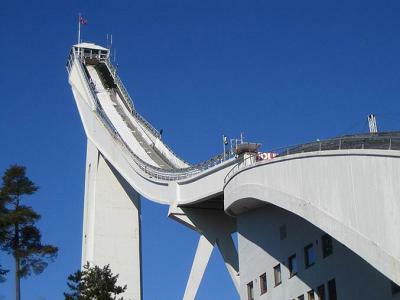 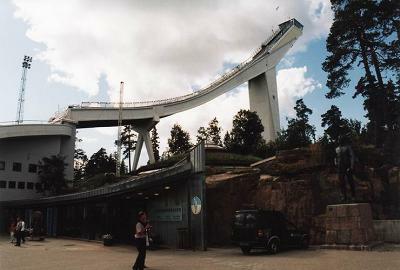 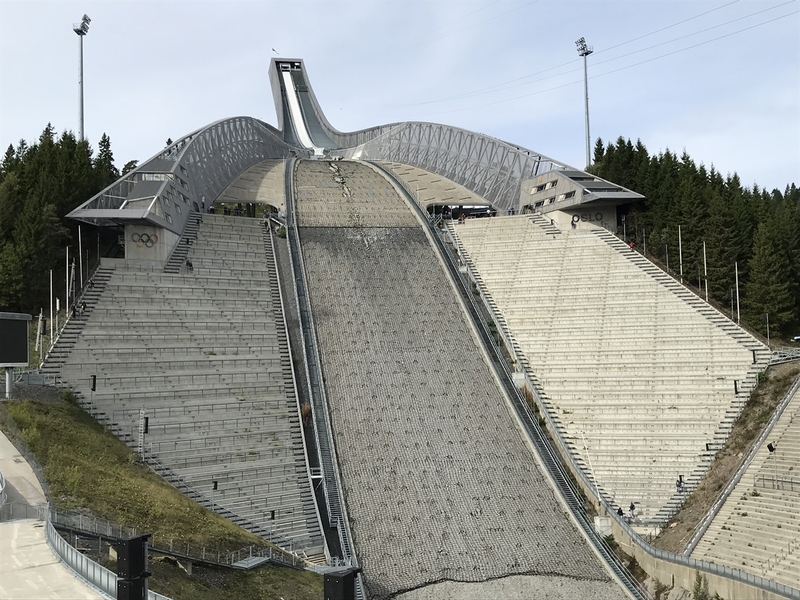 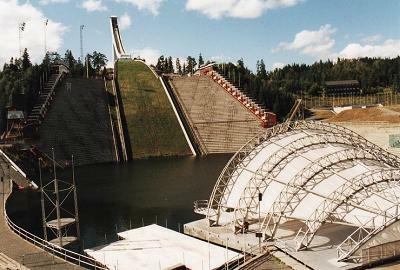 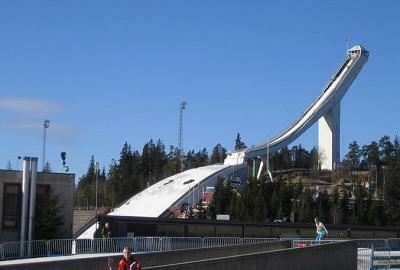 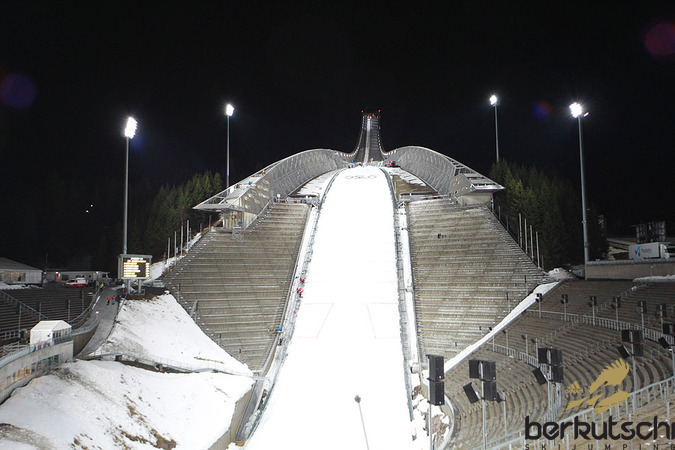 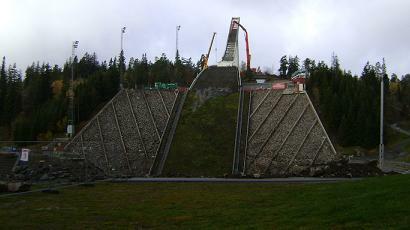 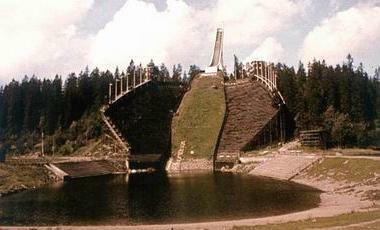 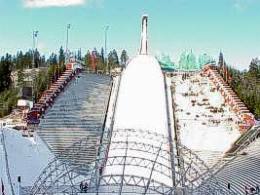 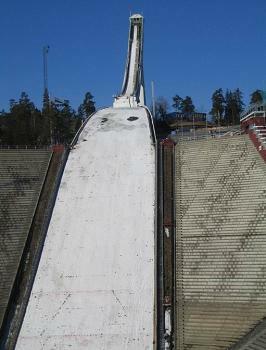 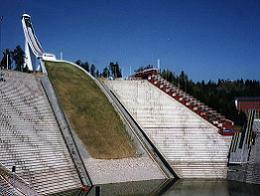 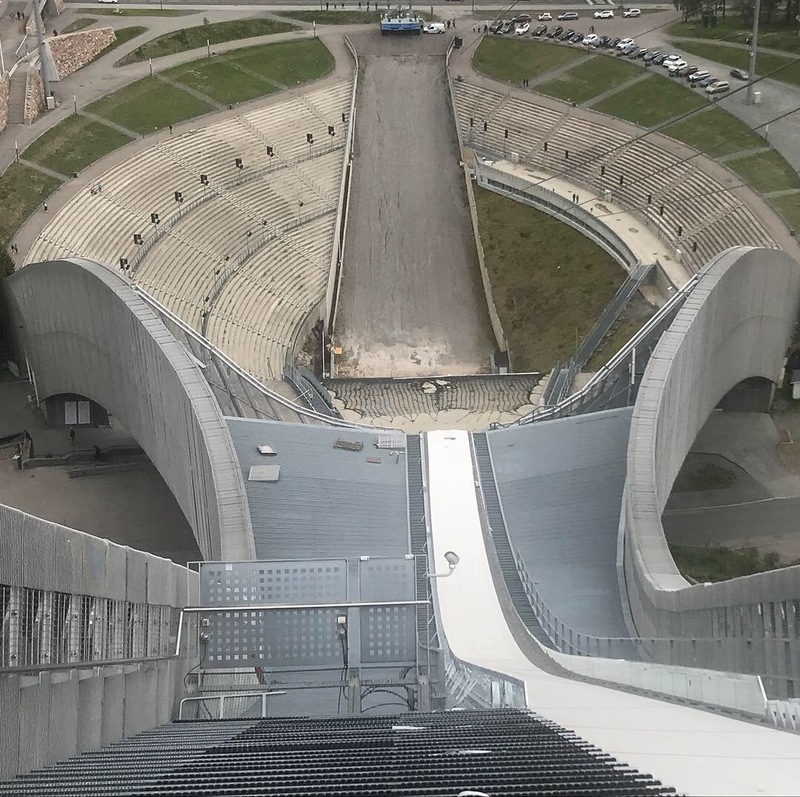 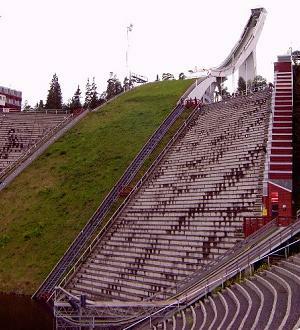 With the development of ski jumping of course the ski jump changed its outline, too and up until now it has been converted 14 times. 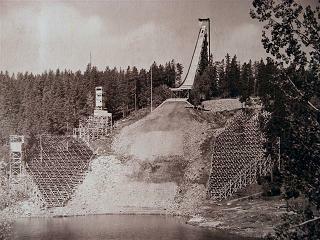 In 1904 the takeoff which was constructed out of wood and snow, was replaced by stone construction, ten years later the first wooden inrun tower was built and stood until 1927, when it destructed only one day after a tournament. 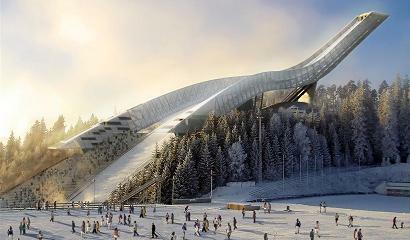 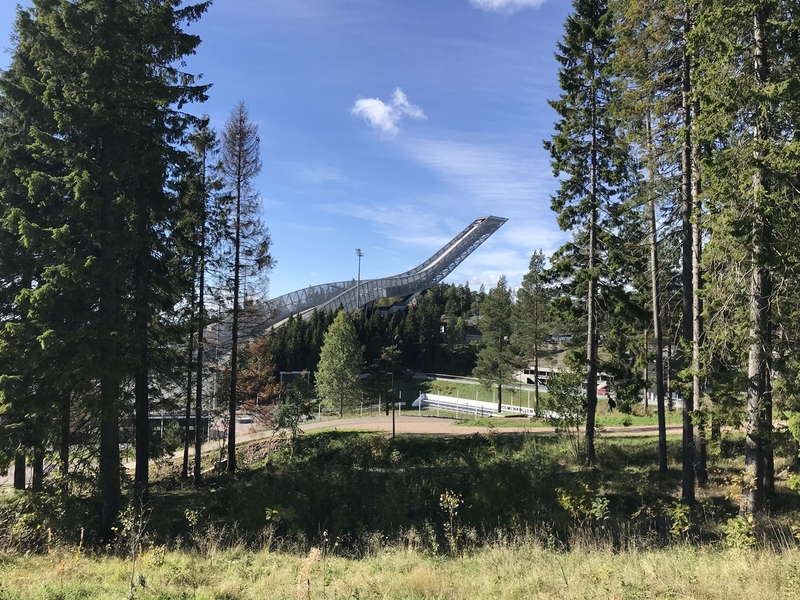 In 1928 the construction of a 19 m high new tower began, as well as the enlargement and drainage of the landing hill and outrun and then for the World championships a worthy ski jumping facility could be presented. 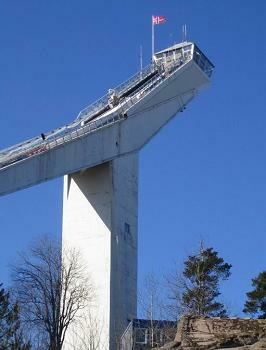 With the 40 meters high tower, which was made by concrete in 1939, for a first time more than 60 meters could be jumped. 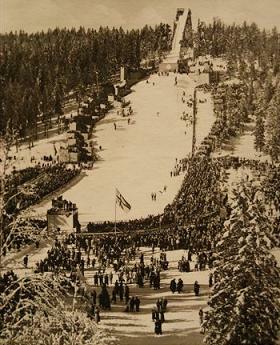 World War II interrupted sports business for six years and for the first competition after the war 106,000 spectators came to “Fredsrennet”, one of them king Haakon VII. 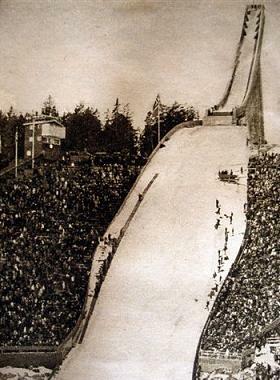 When the Olympic Winter Games 1952 were opened, participants were astonished by the new inrun of the ski jump which was supported by concrete columns and had symmetrical spec­ta­tor traverses on both sides. 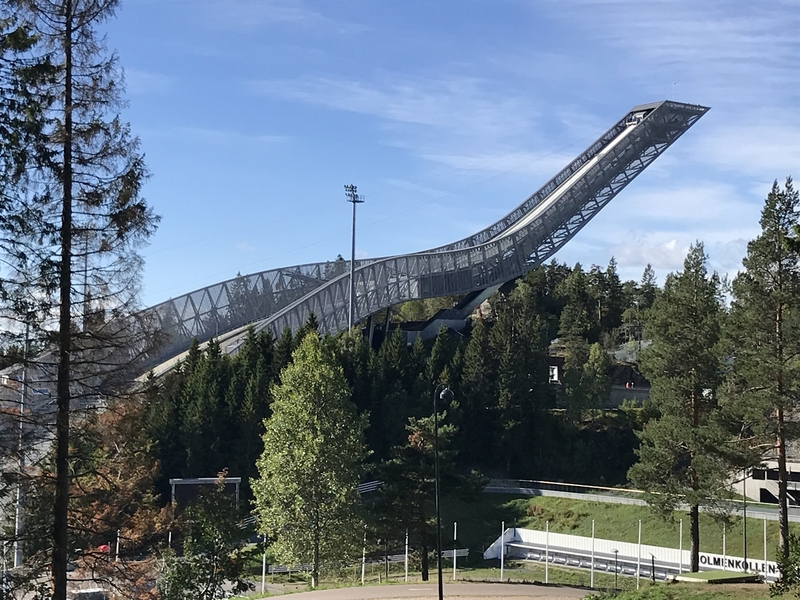 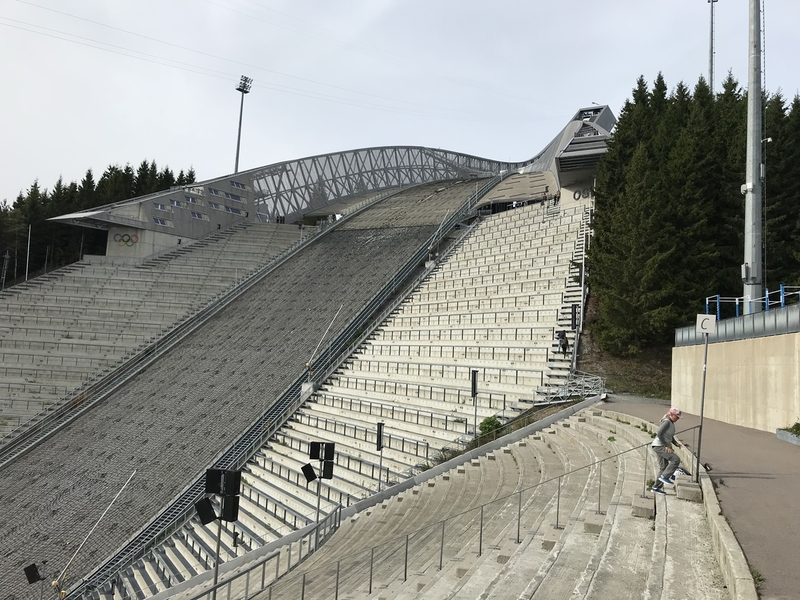 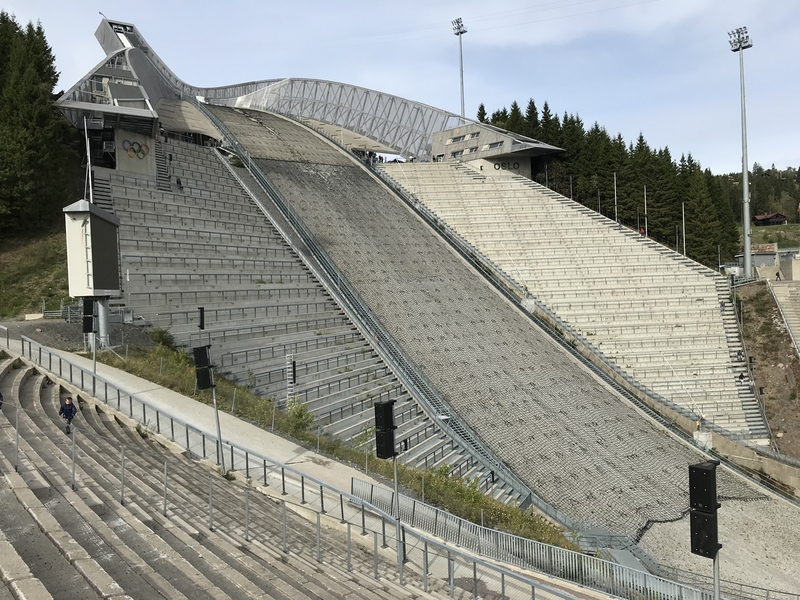 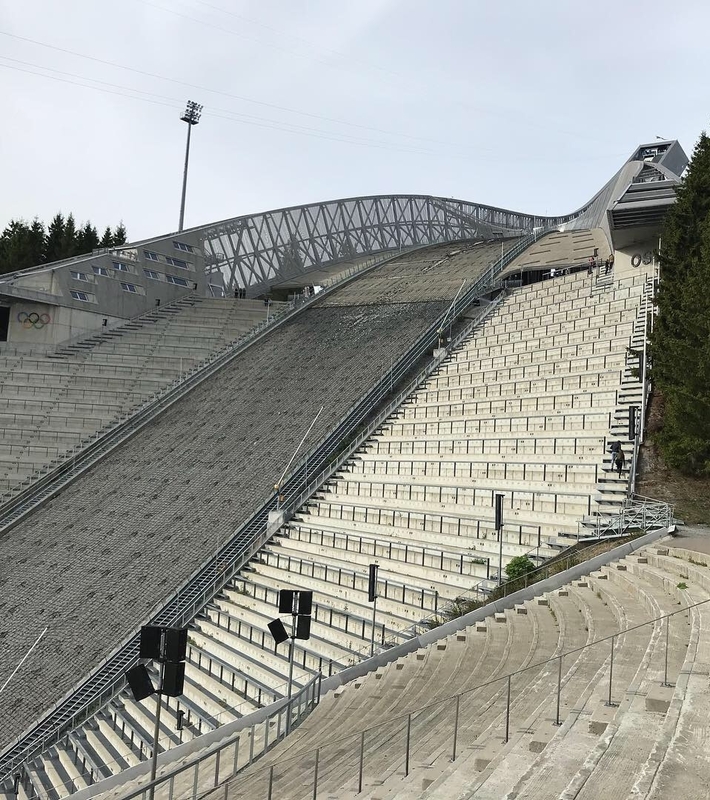 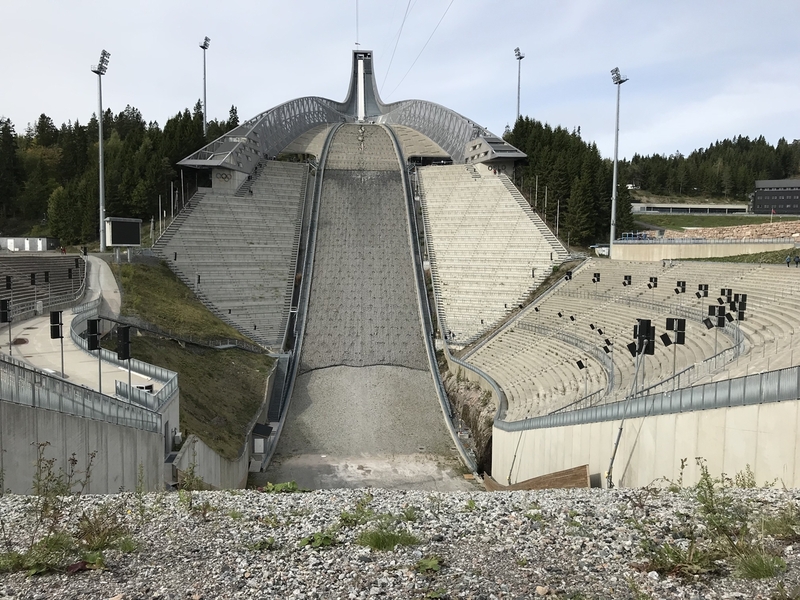 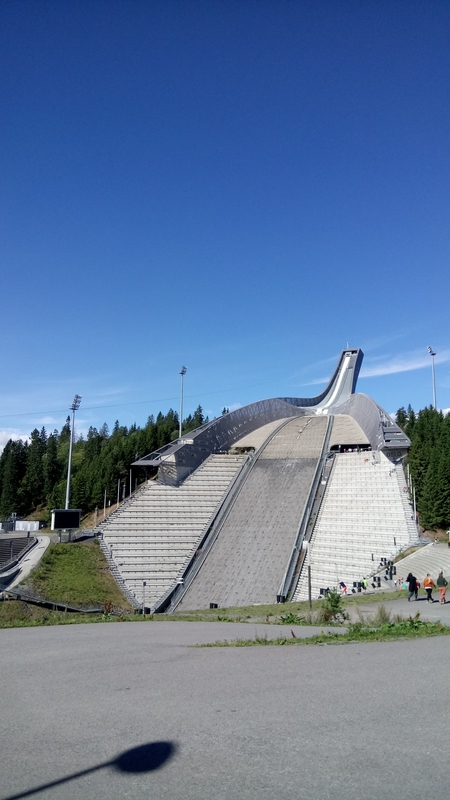 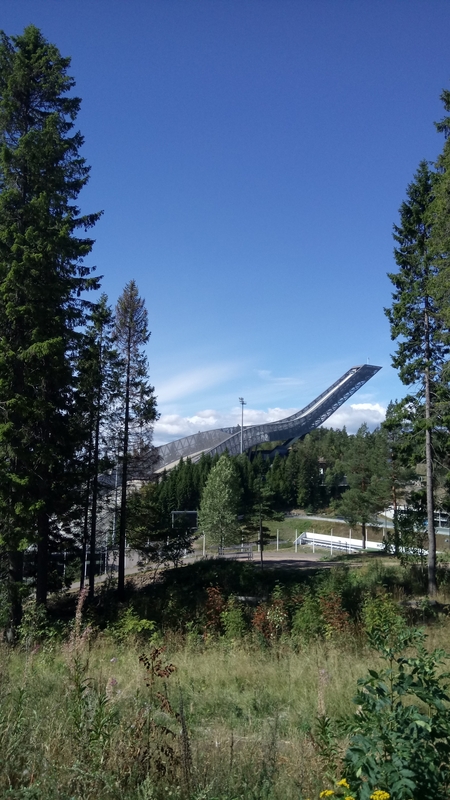 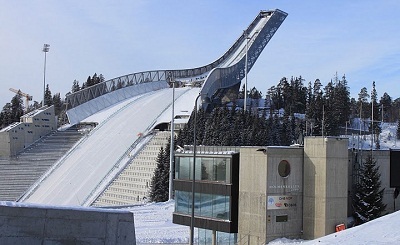 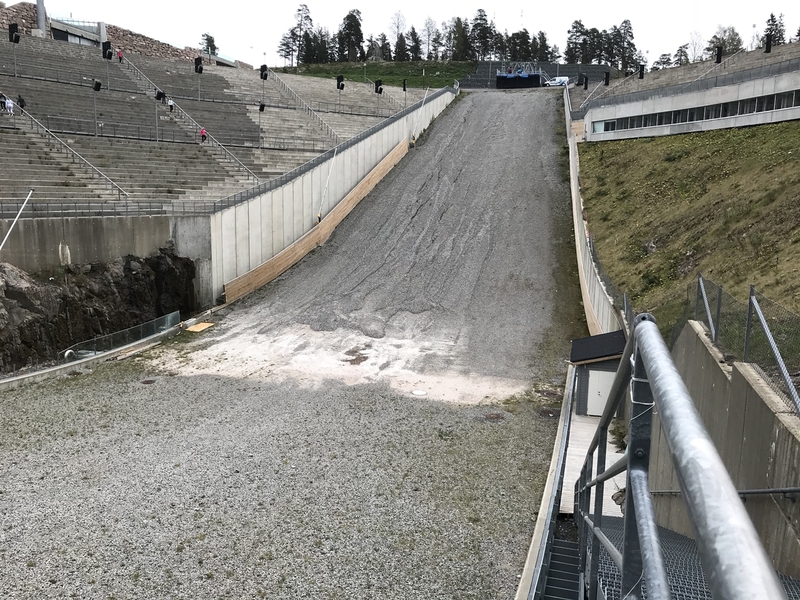 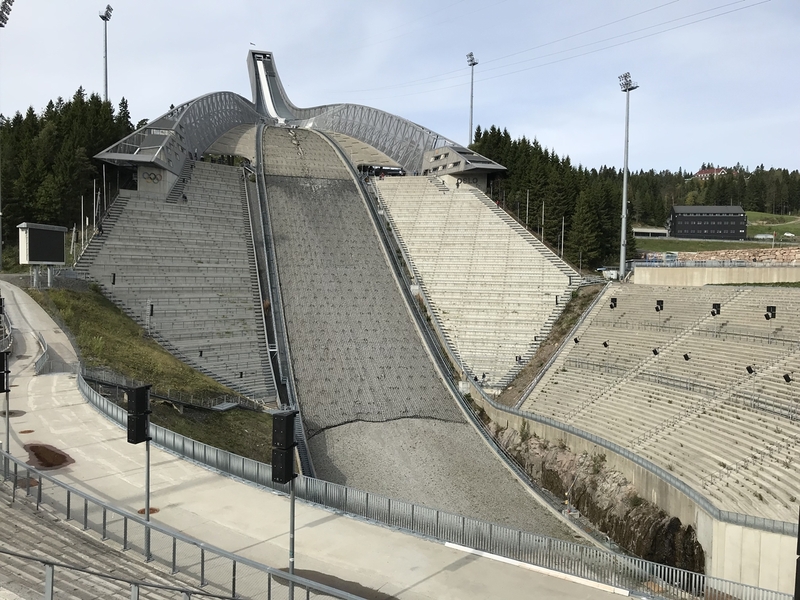 Because there have been ski jumping World Champions on large and normal hill since 1962, for the WSC 1966 Midt­stubakken was built about 500 m apart. 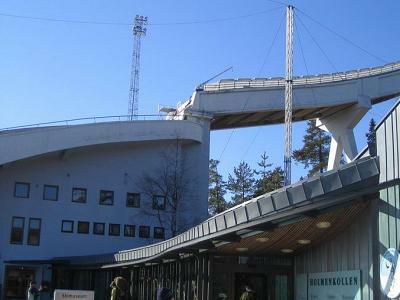 Before the WSC 1982 the whole facility was renovated again, the last larger conversion took place in 1992. 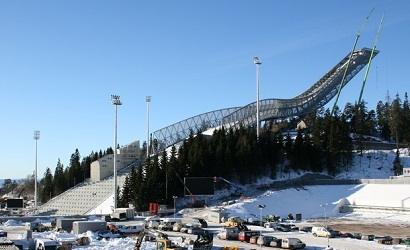 For the WSC 2011 again a renovation of the whole winter sports area was necessary and so the decision for a complete demolition and new-con­struc­tion of the Holmenkollen ski jump fell after a long seesaw in April 2008. 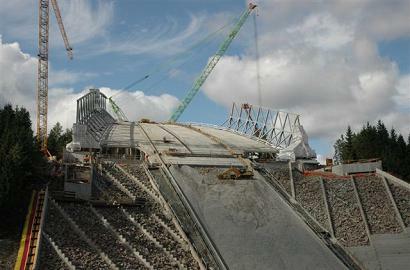 On 2008-10-17 the new-construction of the “Nye Holmenkollen Fyr” HS 134 ski jump of Copenhagen-based JDS Architects was started with the destruction of the inrun tower. 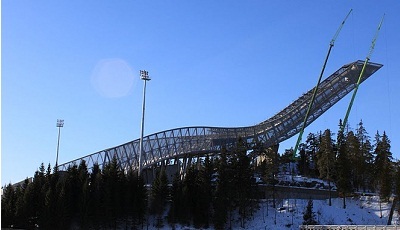 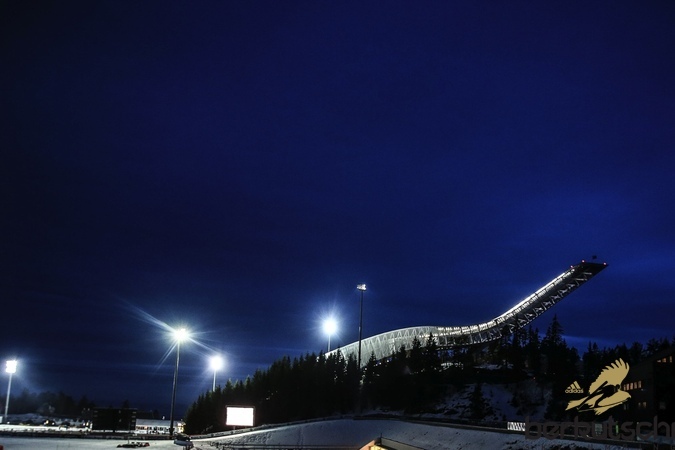 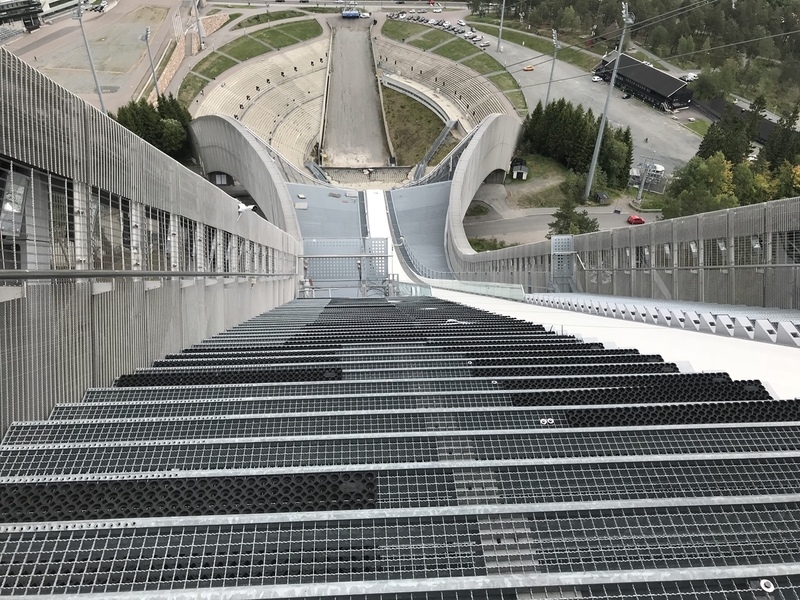 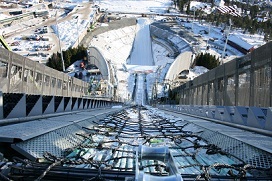 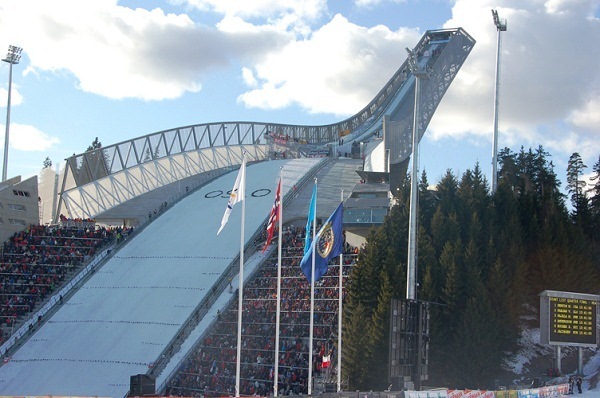 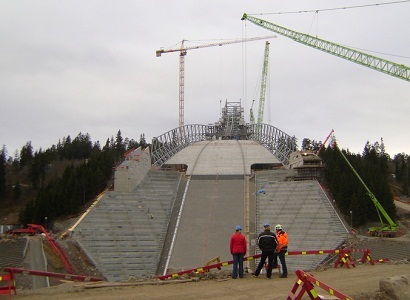 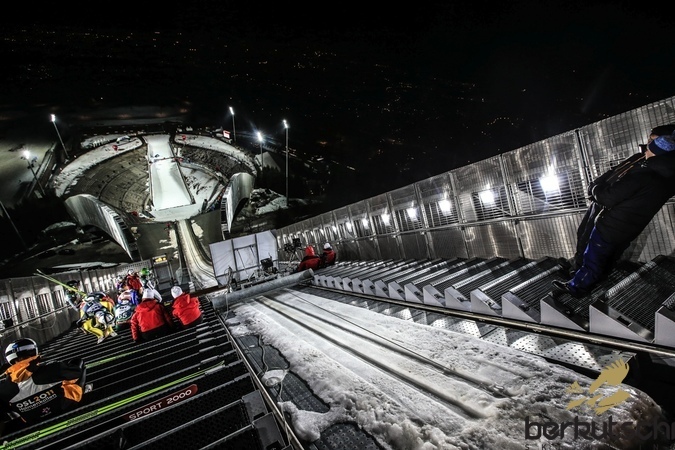 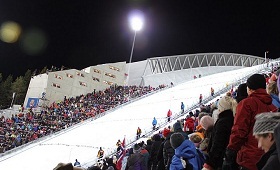 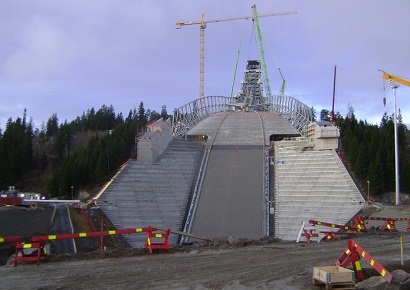 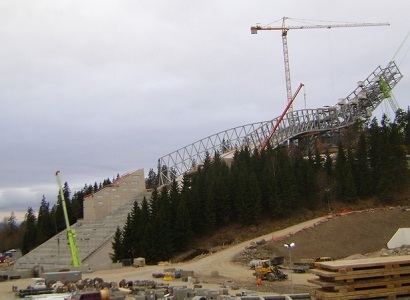 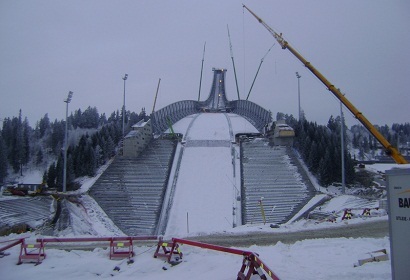 In only a bit more than one year of construction time the new Holmenkollbakken had been prepared for ski jumping and so 7,000 spectators could celebrate the official inauguration with the first jump on 106.5 m made by Anette Sagen on March 3, 2010. 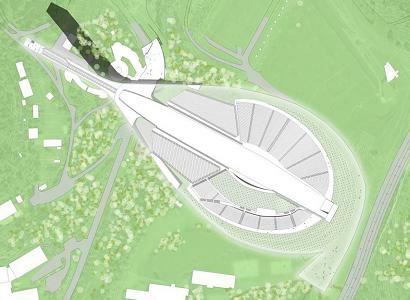 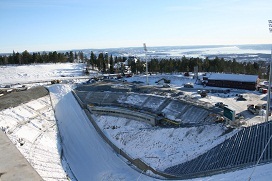 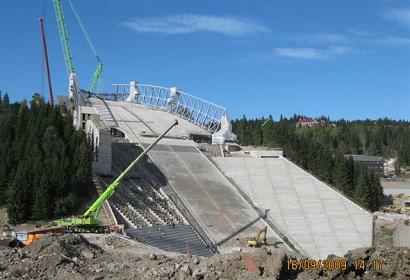 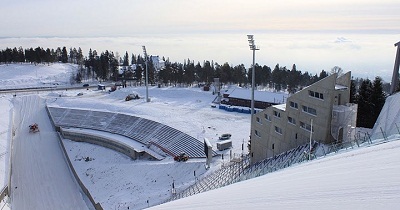 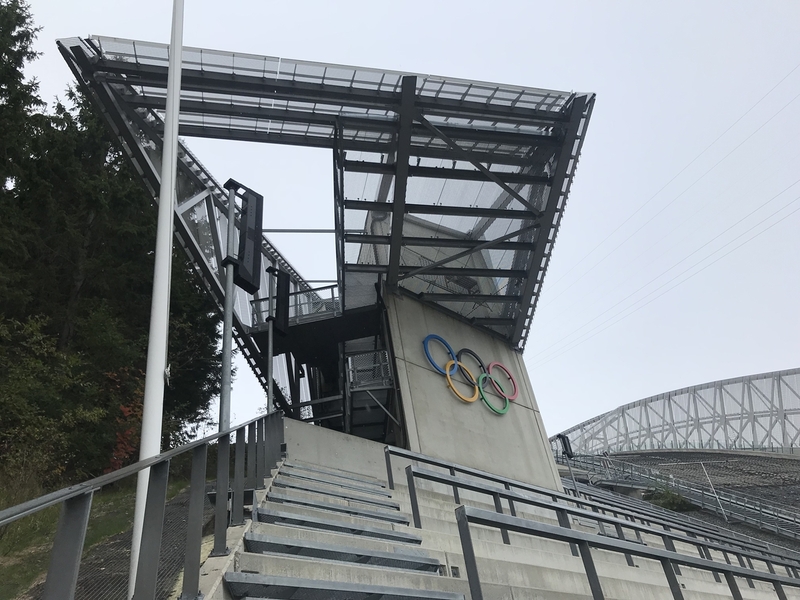 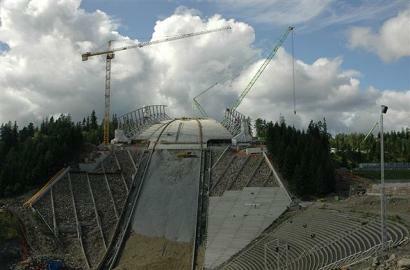 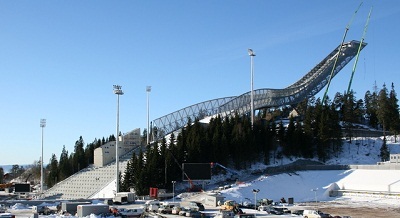 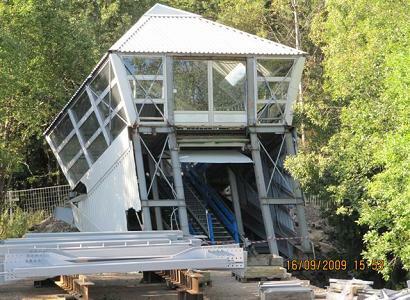 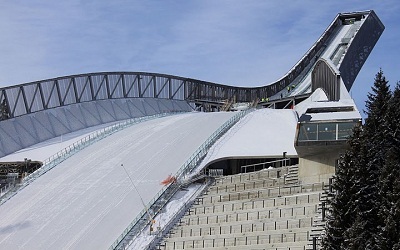 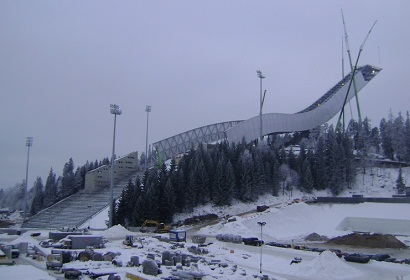 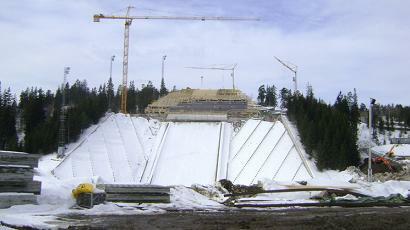 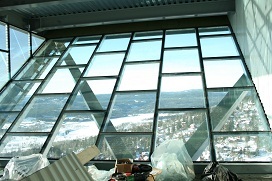 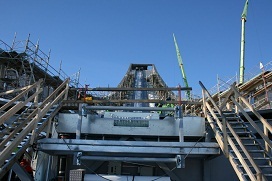 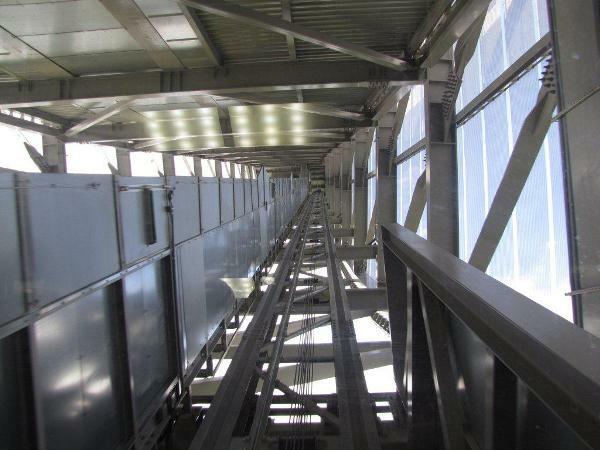 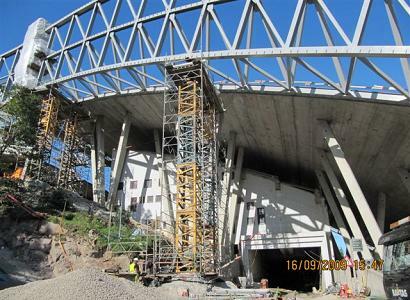 The total cost for the modernization of the Holmenkollen facilities as a preparation for the WSC 2011 was more than 200m Euro, including Midtstubakken and cross-country facilities. 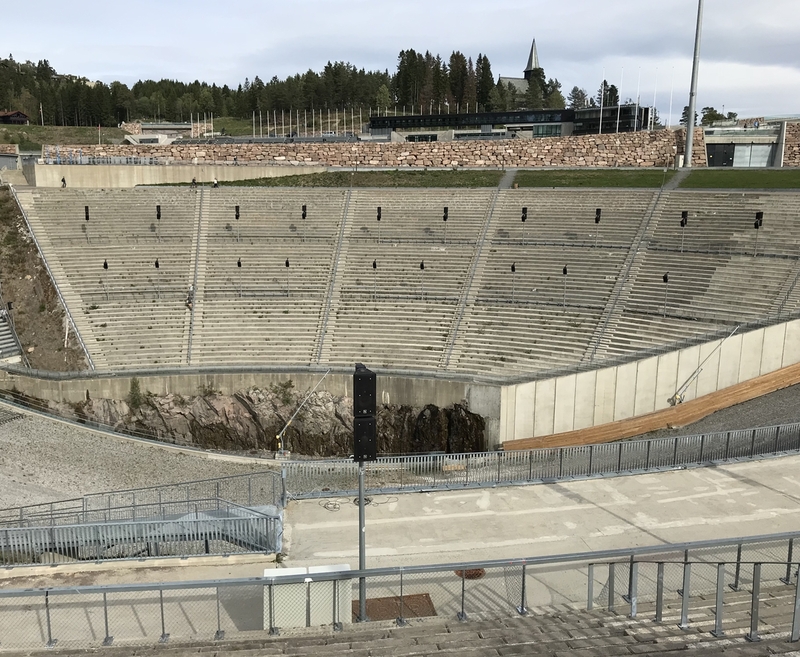 Conservation and renovation were and are a never-ending process in this arena, where by the 50,000 members counting skiing union “Foreningen til Ski-Idrettens Fremme”, shortly called Skiforeningen, plays a very important role. 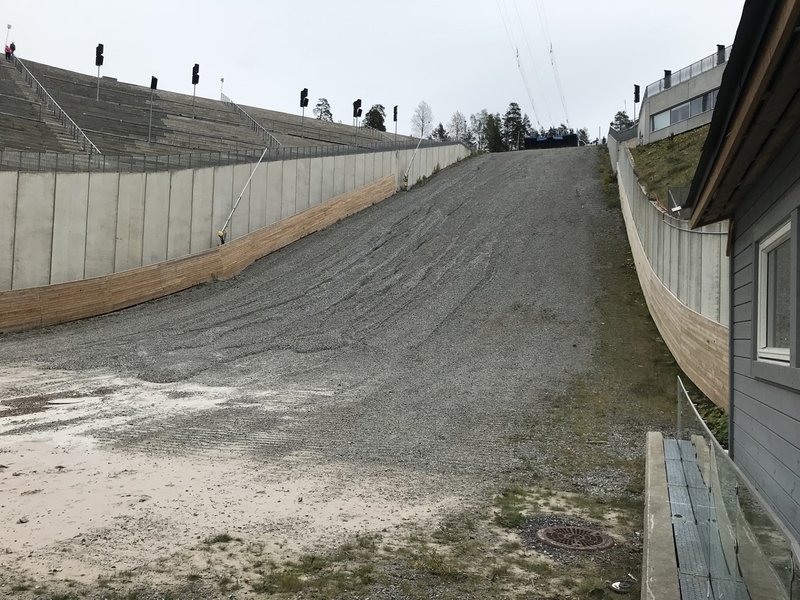 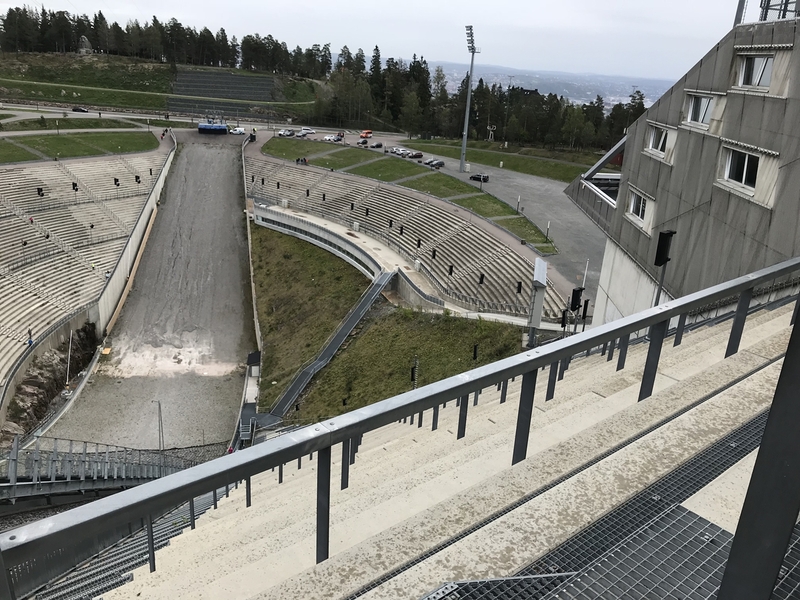 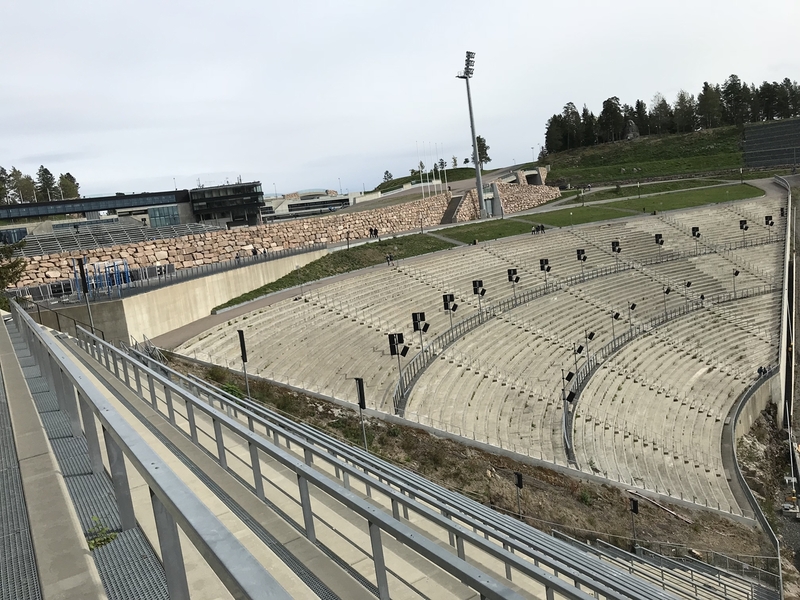 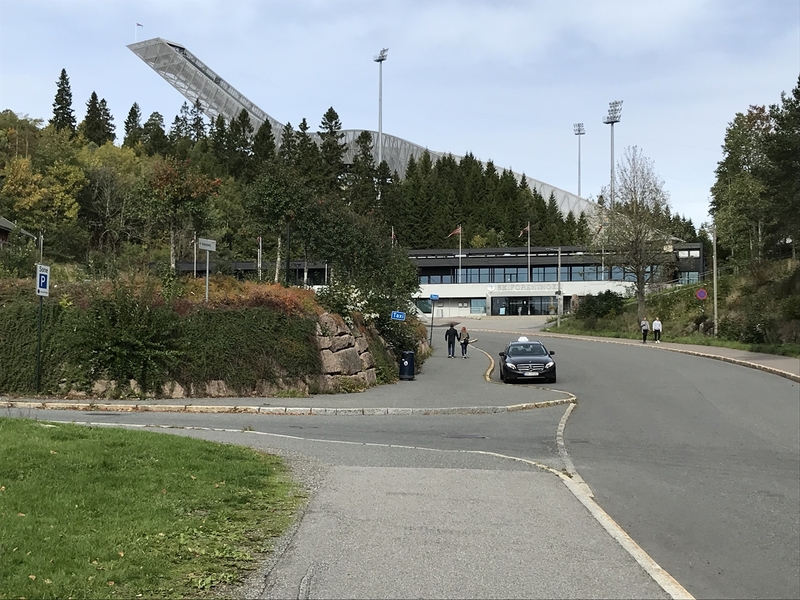 This is not only concerning preparation and execution of sports highlights in winter time, but also delivering and supporting the miscellaneous sports activities in summer around Holmenkollen. 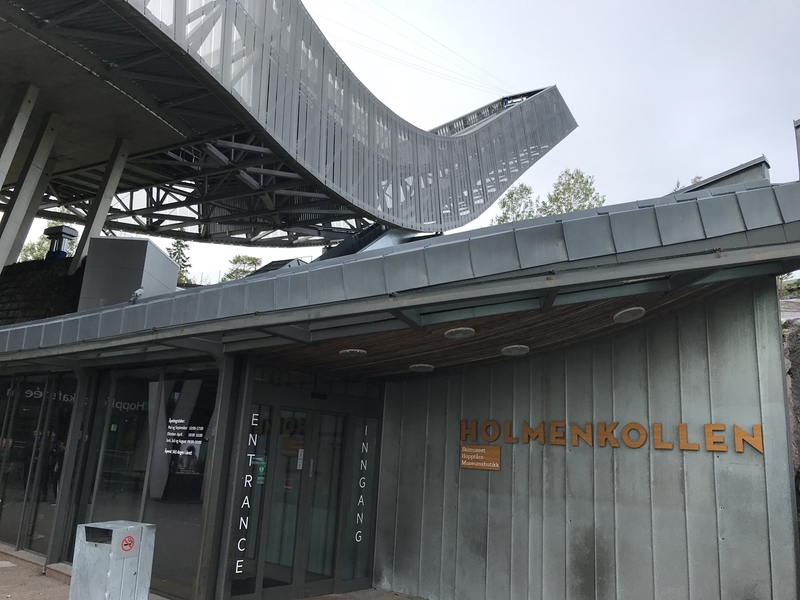 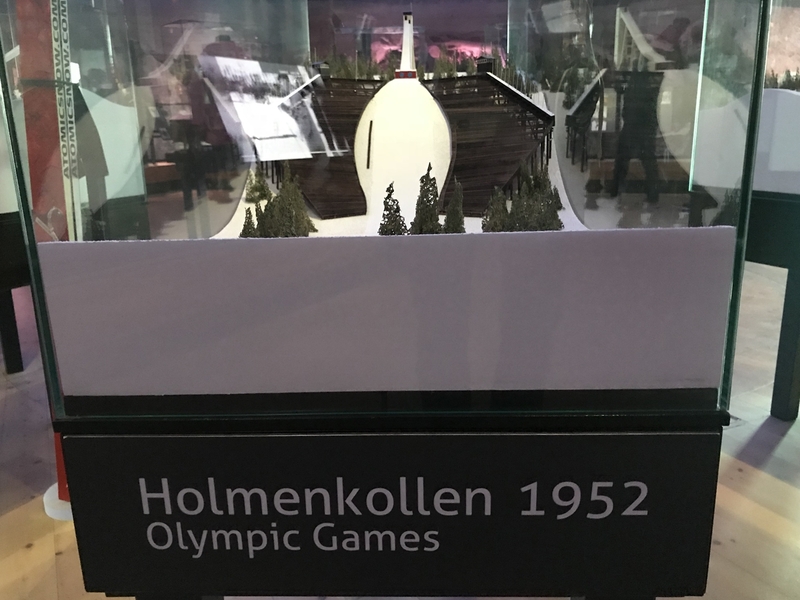 Worth mentioning is also the oldest skiing museum of the world, which has been existing at Holmenkollen since 1932 and moved inside the hill in 1966. 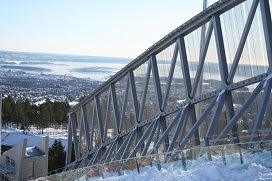 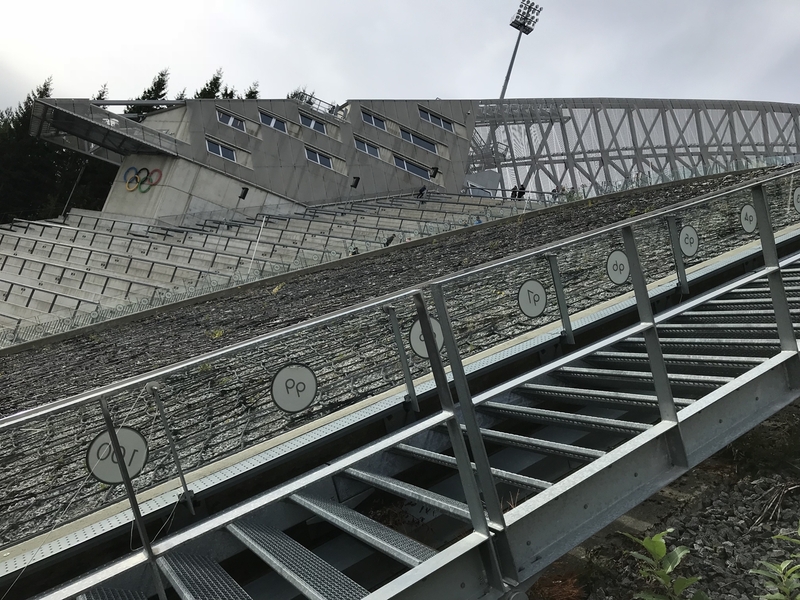 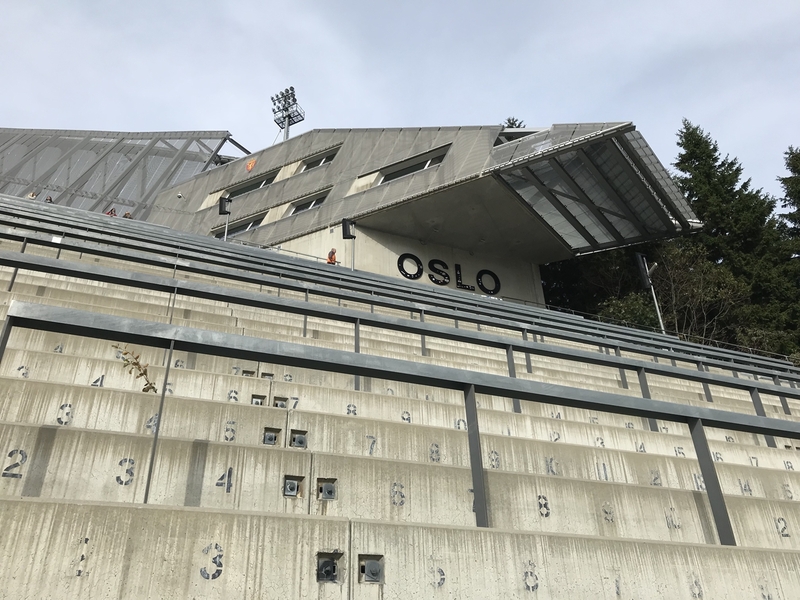 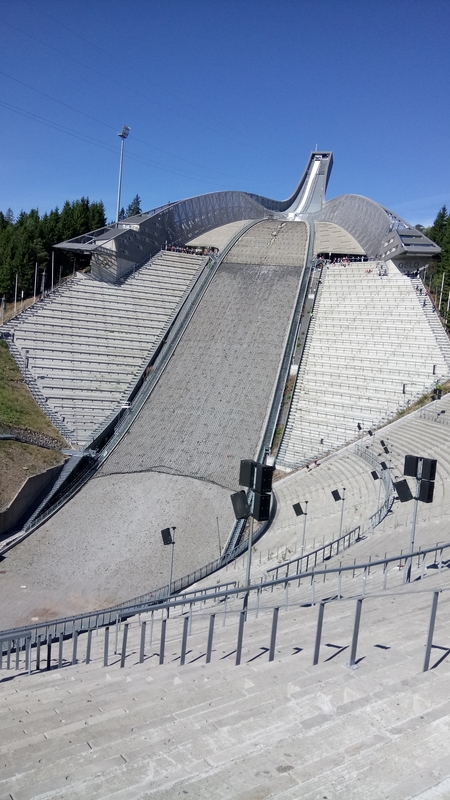 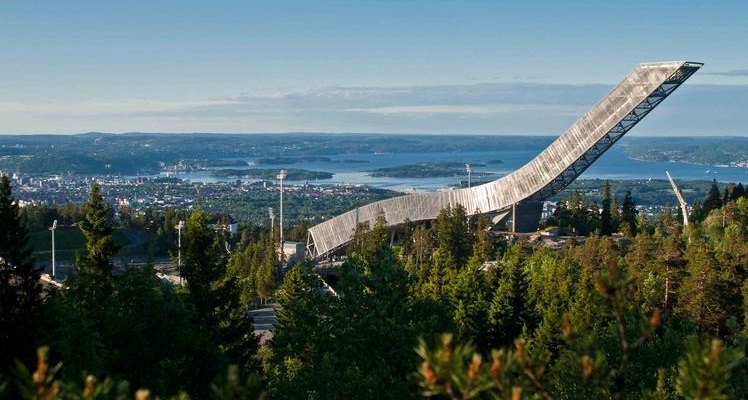 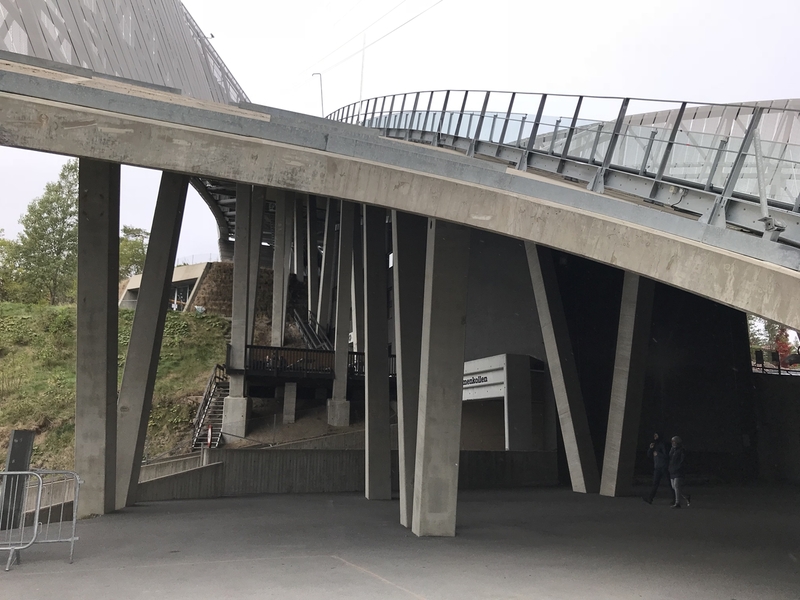 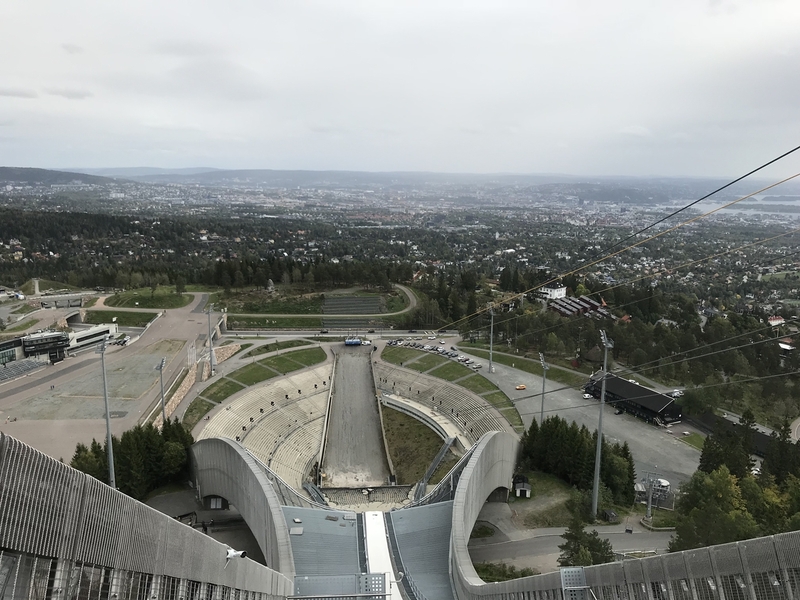 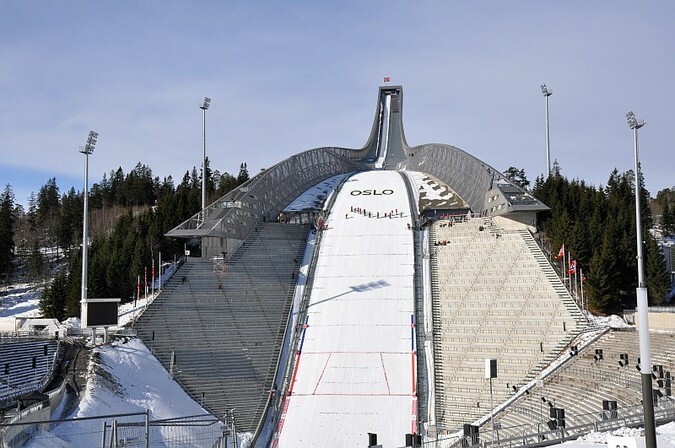 In 1983 it was reopened completely new directly inside the fundament of the ski jump and with the lift you can enjoy a wonderful overview of Oslo from the 60 m high starting platform. 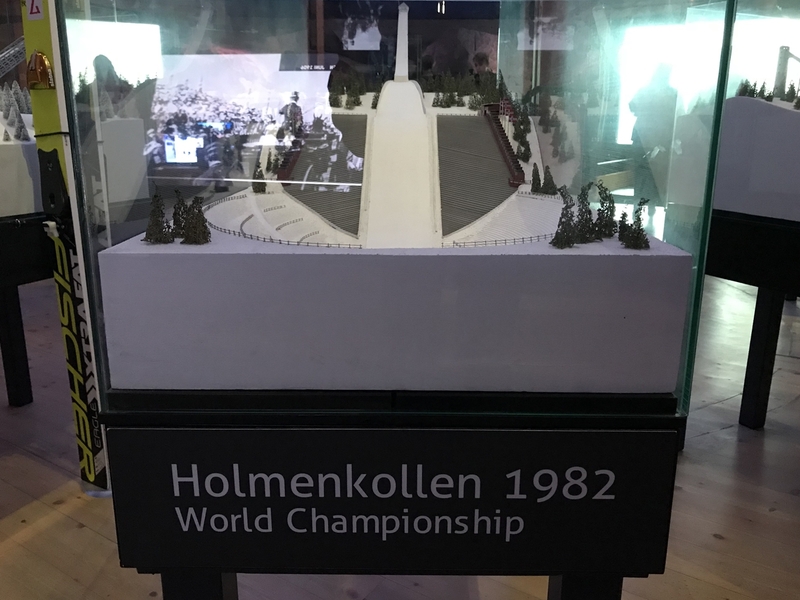 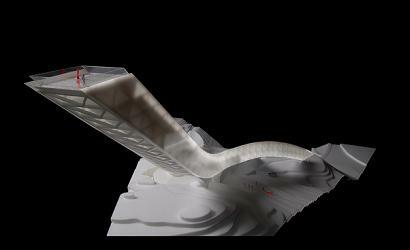 Over 1.2 million visitors every year are interested into the development of skiing sports and so this museum is one of main tourist spotlights on the Norwegian capitol. 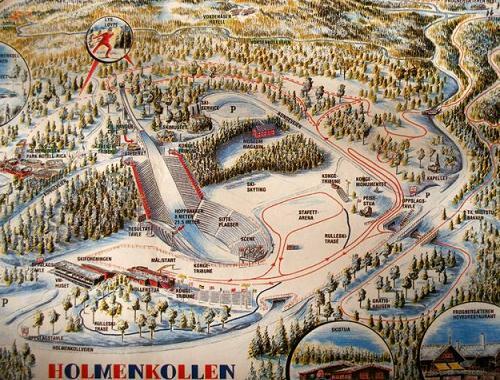 Paris has its Eiffel tower, New York has the statue of Liberty and Oslo has the Holmenkollen – the Mekka of winter sports. 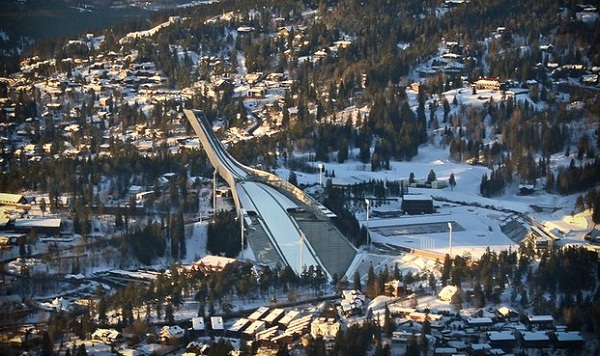 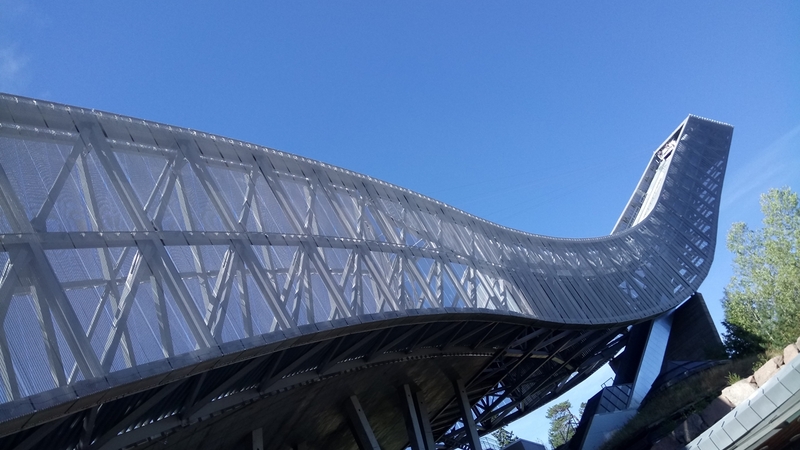 Since the new Holmenkollbakken in Oslo was completed in 2010, the ski jump project of the Danish firm JDS Architects has been awarded with numerous architectural prizes. 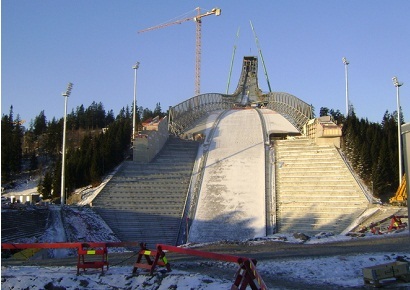 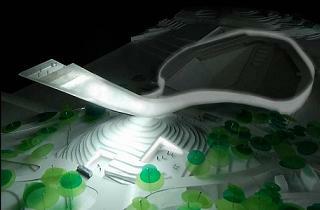 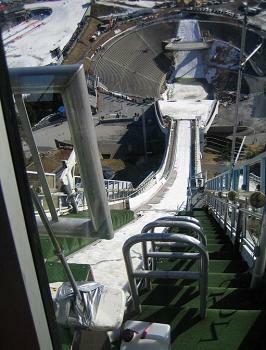 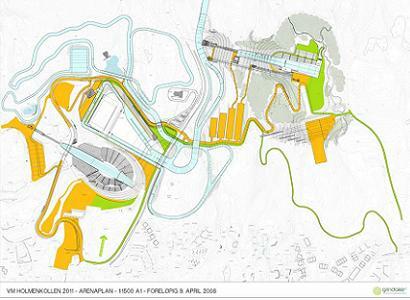 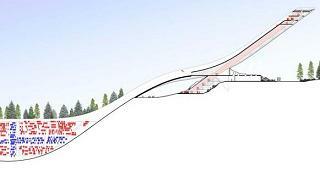 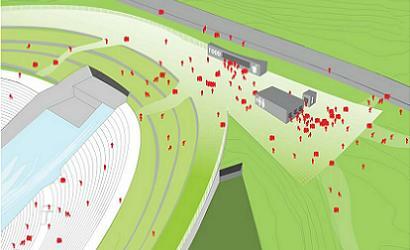 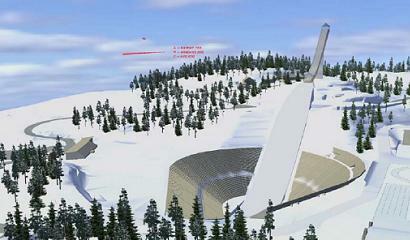 For Nordic World Ski Championships in 2011 a new mormal hill was constructed at Oslo in 2009-2010. 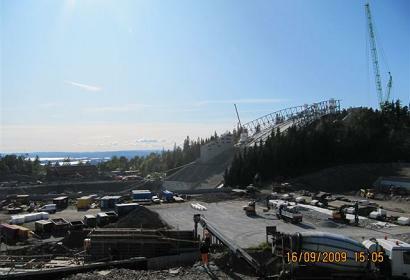 Now the Midtstubakken facility gets extended by four palstic covered junior hills. 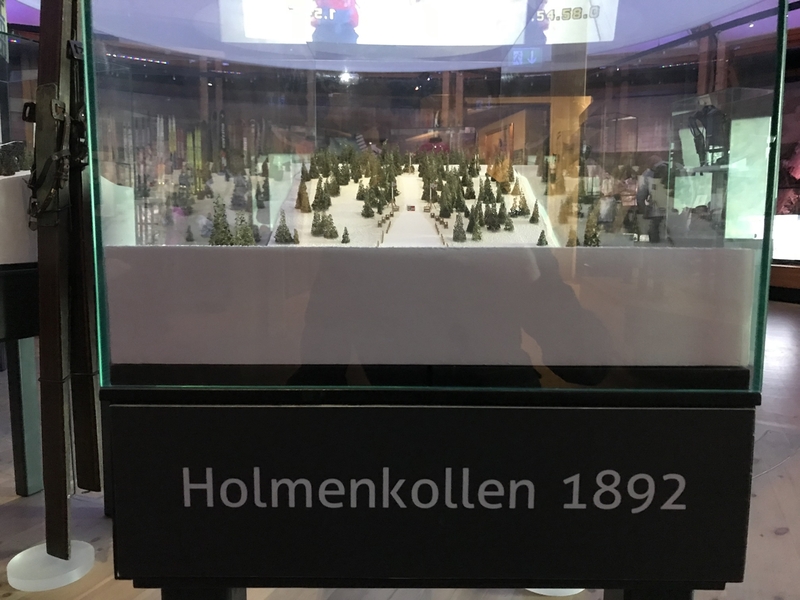 hallöchen, wir waren am 11.8.2017 dort - es war sehr schön - wir waren dort im souvenir-shop un haben dort diese drammeglass funny trolls gekauft. 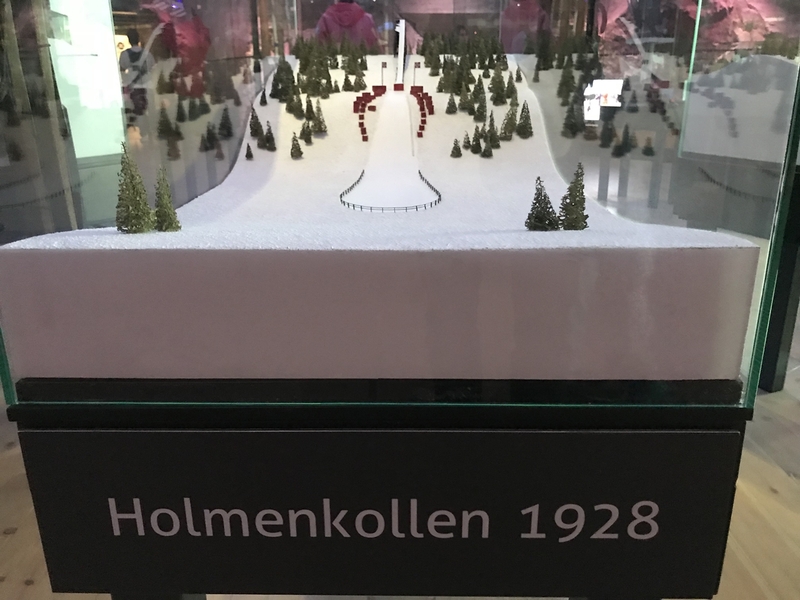 diese gibt es mit blauen un roten boden-also blau herren un rot die Damen. 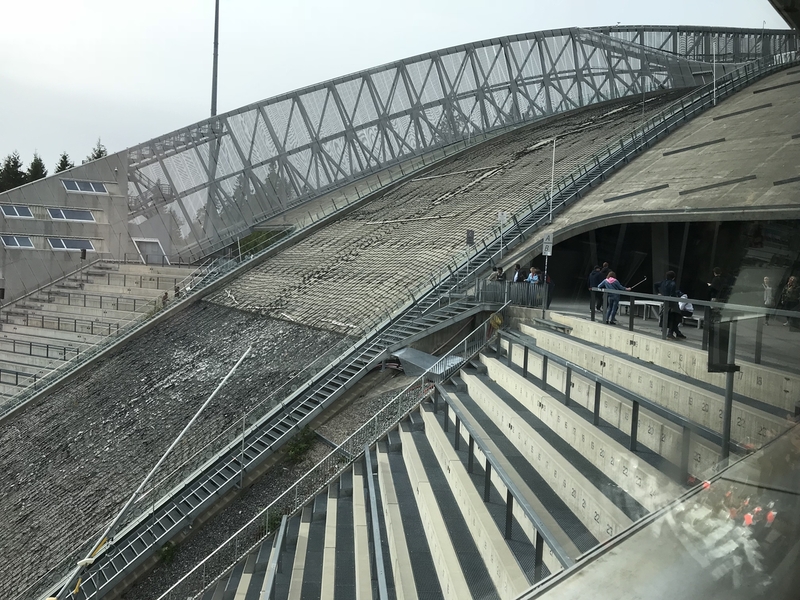 jetz is es leider passiert, un dat blaue is kaputt. 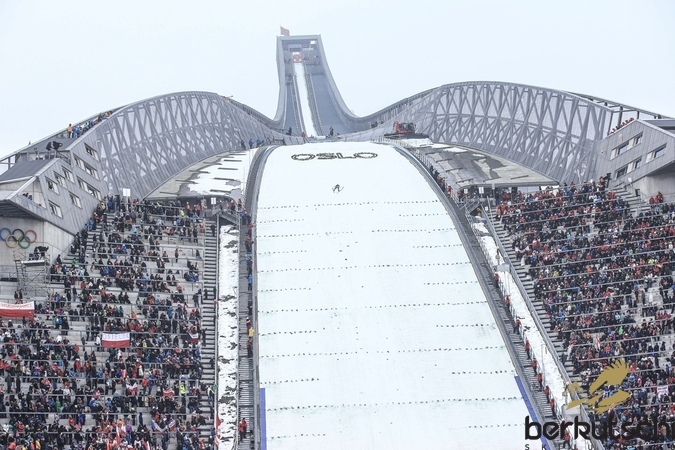 Problem is jetz, i bräuchte diese nochmals - 3x roten boden un 4x blauen boden. 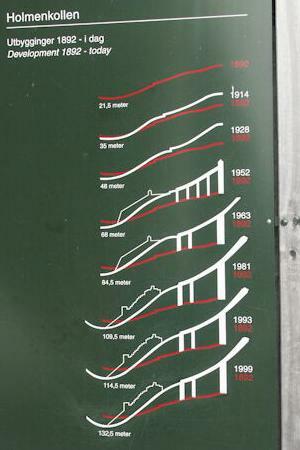 wie bekomme i diese jetz ????? 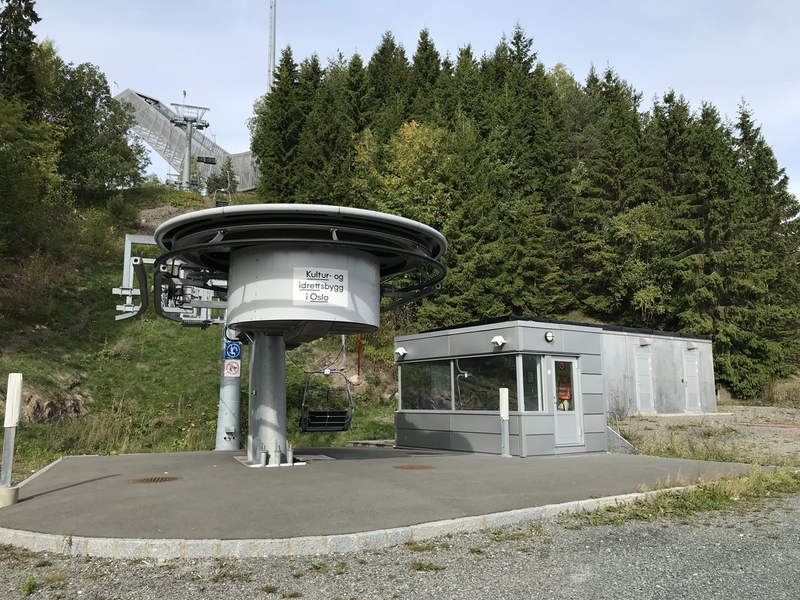 per emailadresse vom shop vielleicht ????? 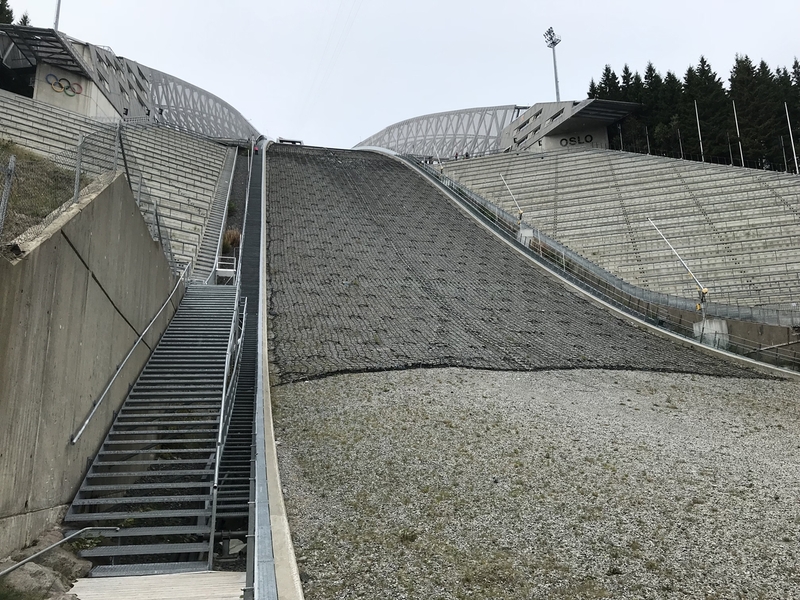 bitte um antwort. 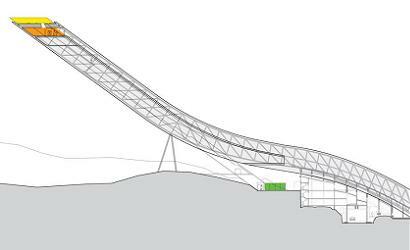 I forgot to list the actual engraving in my first email. 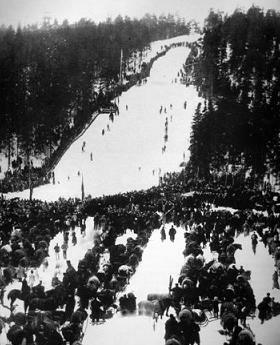 I inherited a small silver cup with the following engraved on it. 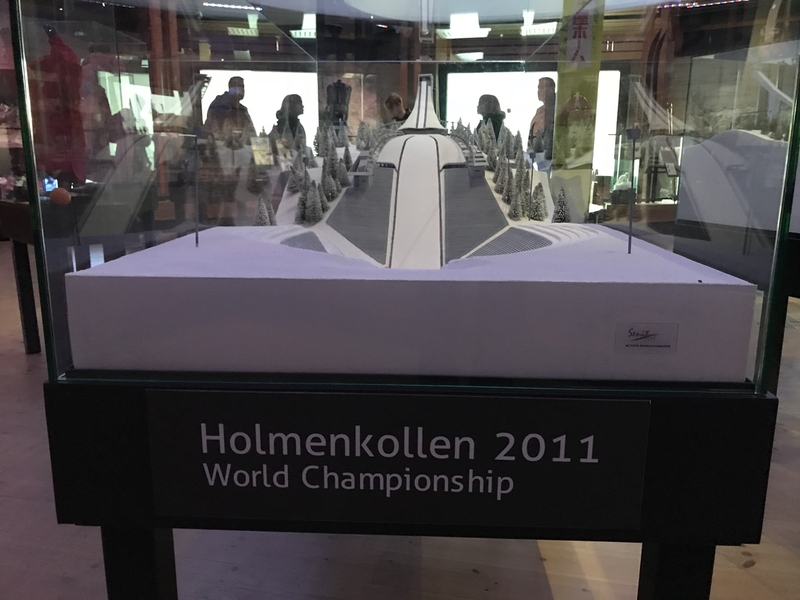 Can you give me anymore information as to who won it. 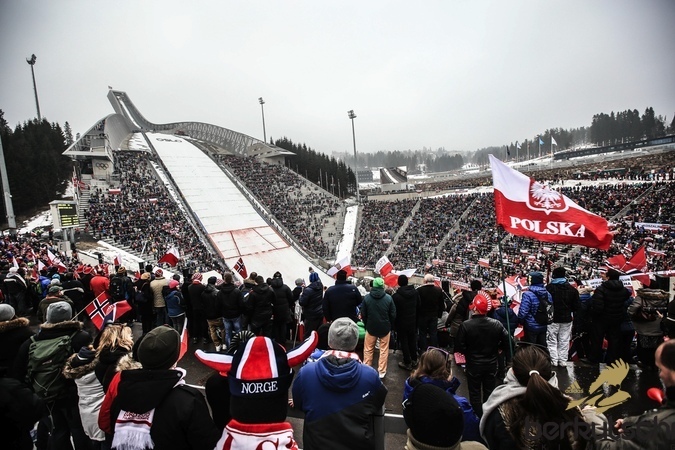 To skocznia gdzie Adam Małysz po raz pierwszy zdobył zwycięstwo w karierze w zawodach Pucharu Świata. 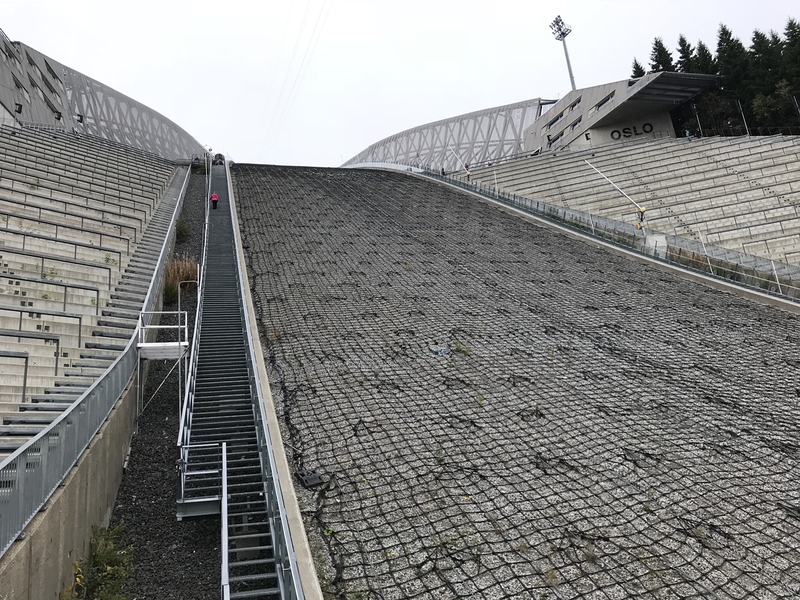 Der Holmenkollen ist keine Mattenschanze! 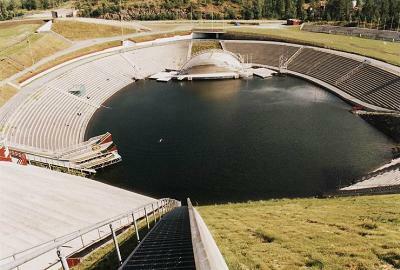 der wir doch glaube ich sogar im sommer immer mit Wasser geflutet. 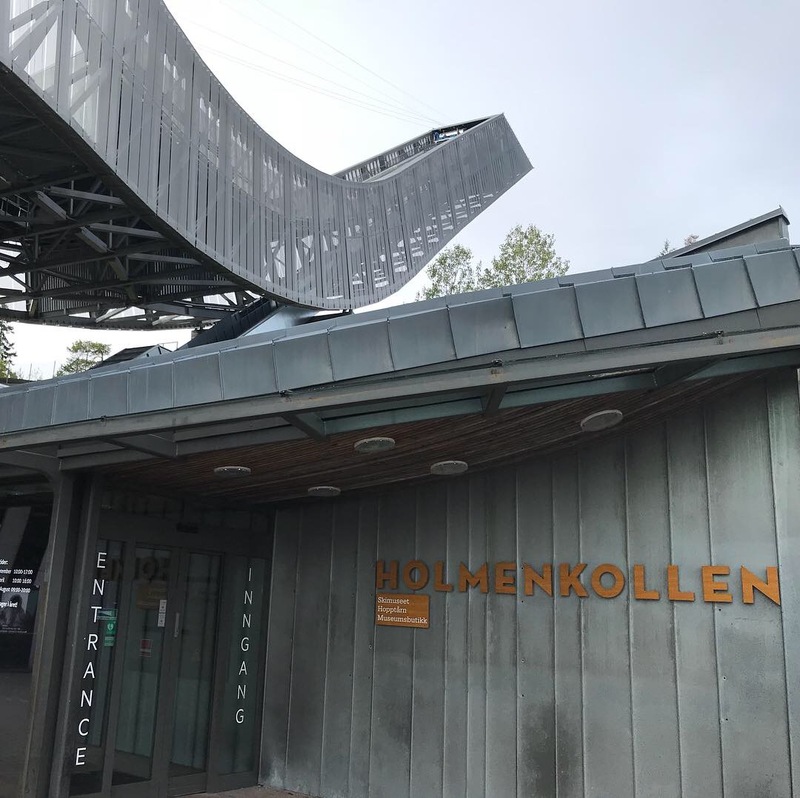 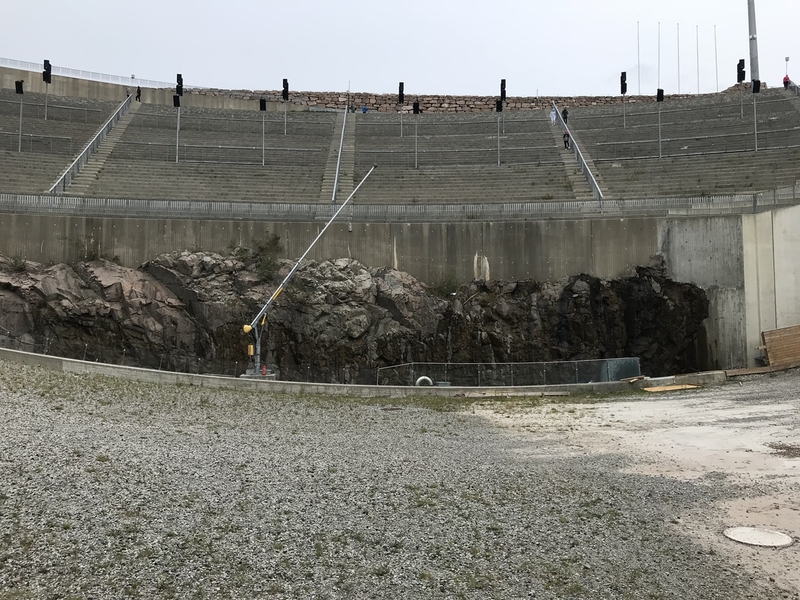 Was bedeutet das Denkmal eines Hundes vor dem Museum am Hoillenkollen? 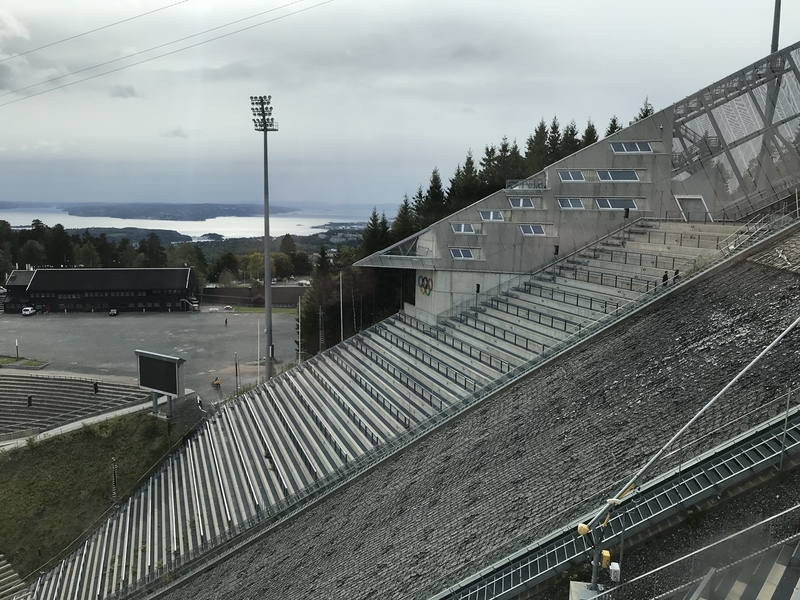 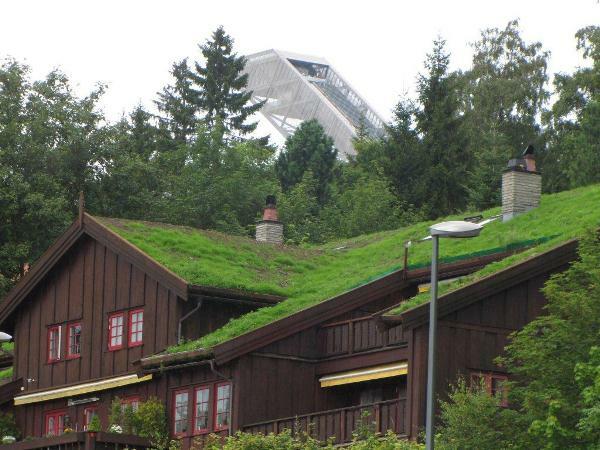 Bei den Angaben steht dass der Holmenkollen eine Mattenschanze ist. 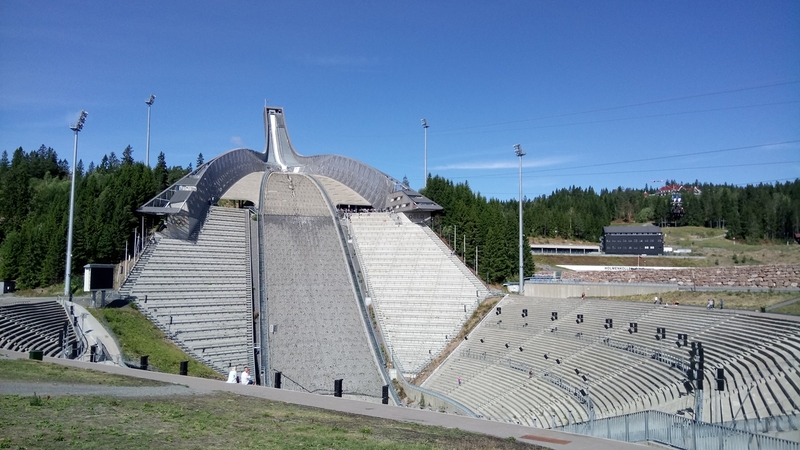 Aber ich habe im web nachgeschaut und kein einzigstes Bild gefunden.Auch bei Google ,da war nur der alte Holmenkollen im Sommer zu sehen. 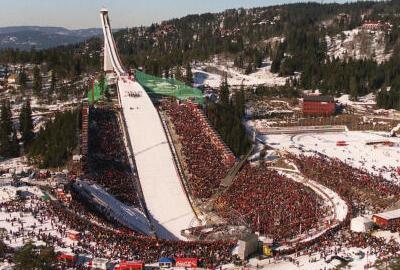 Adam Malysz is the King of the Holmenkollen!